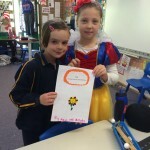 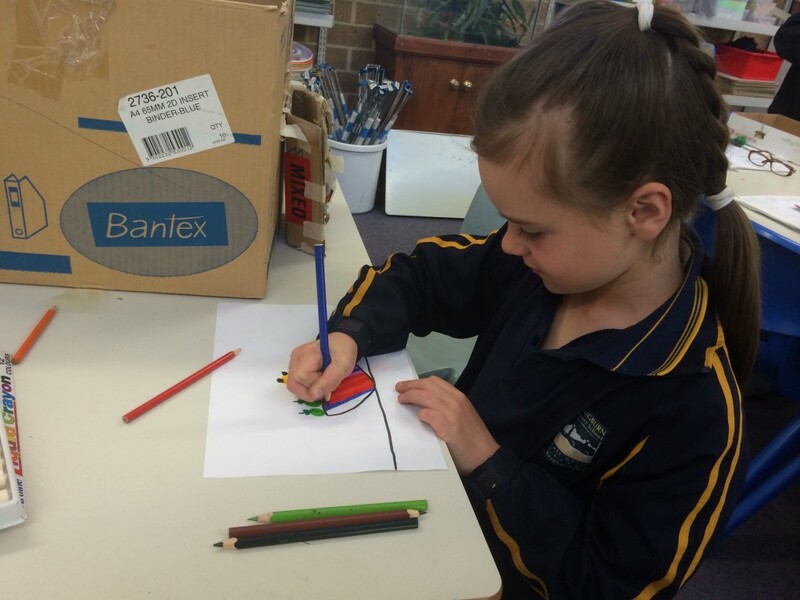 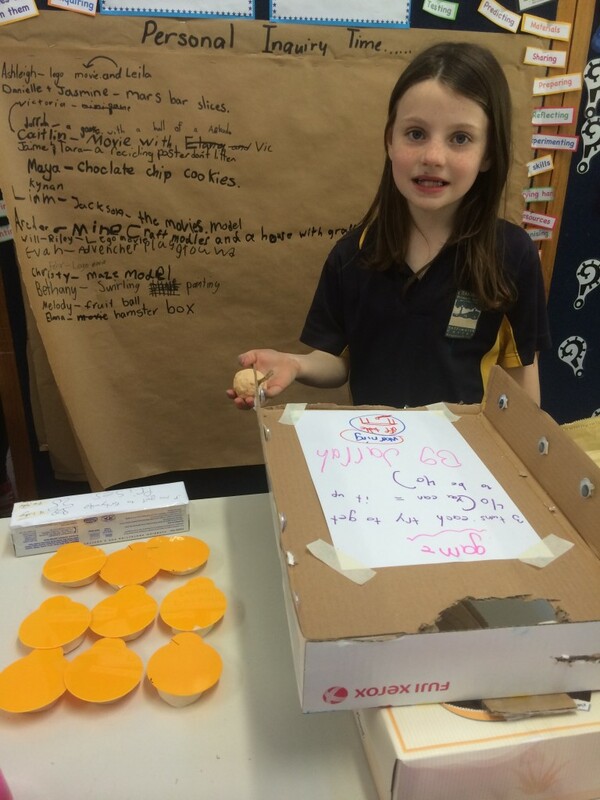 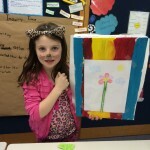 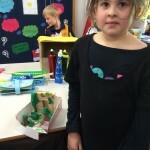 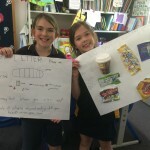 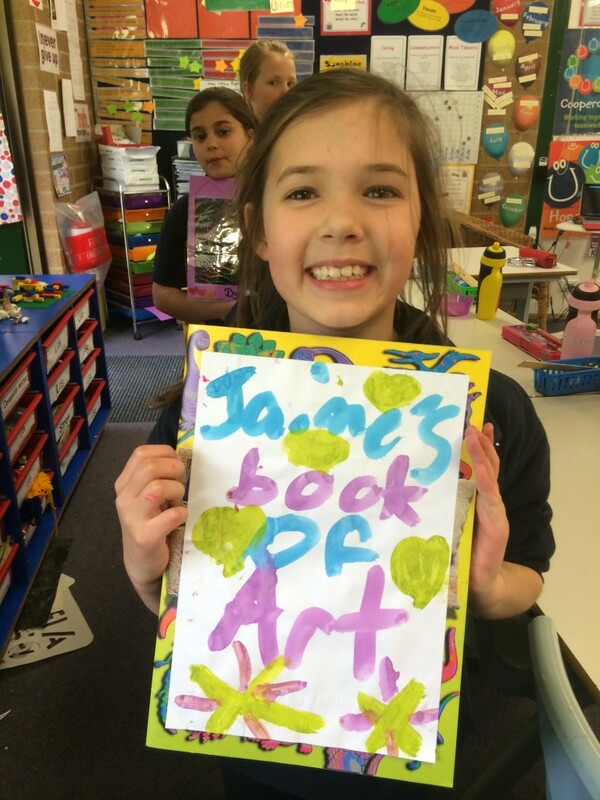 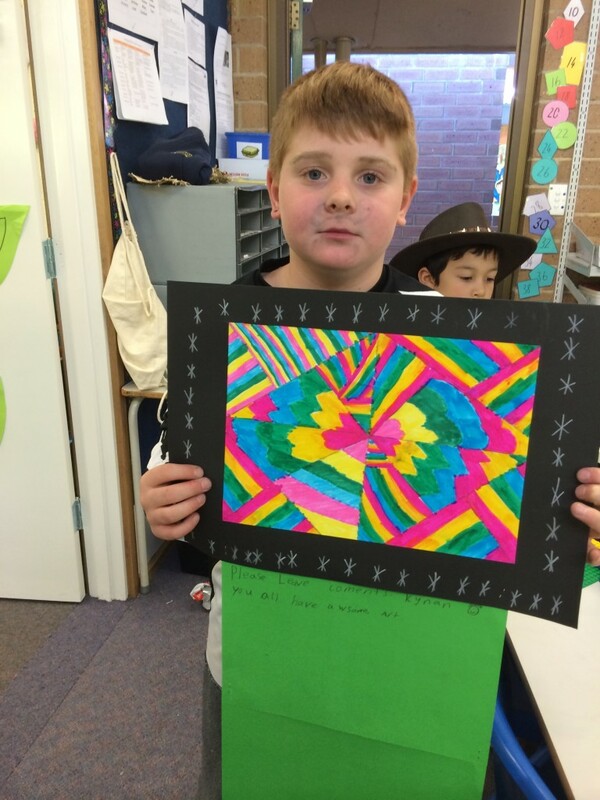 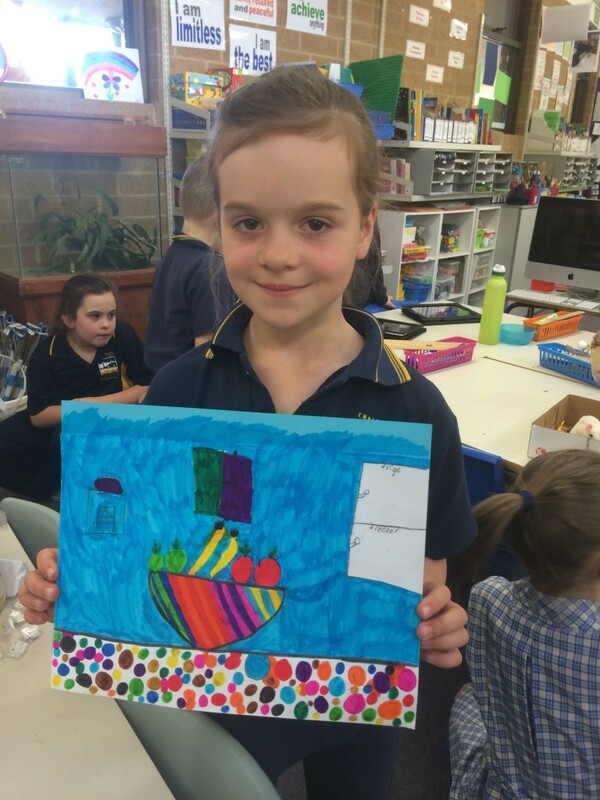 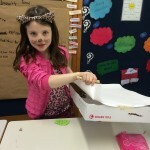 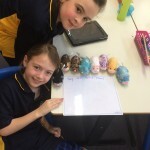 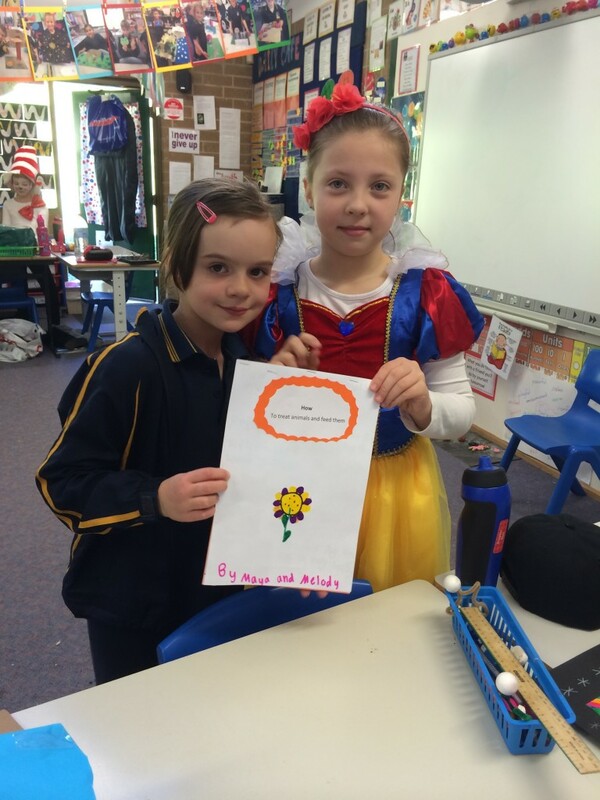 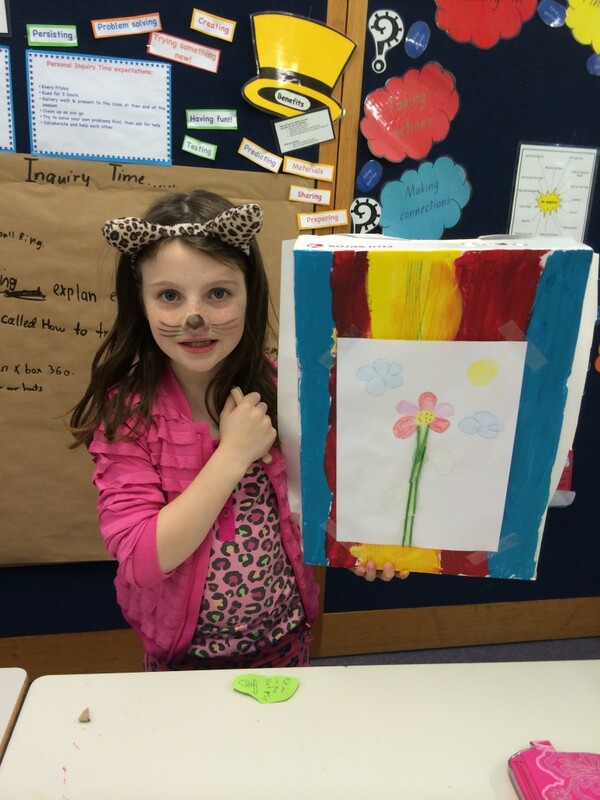 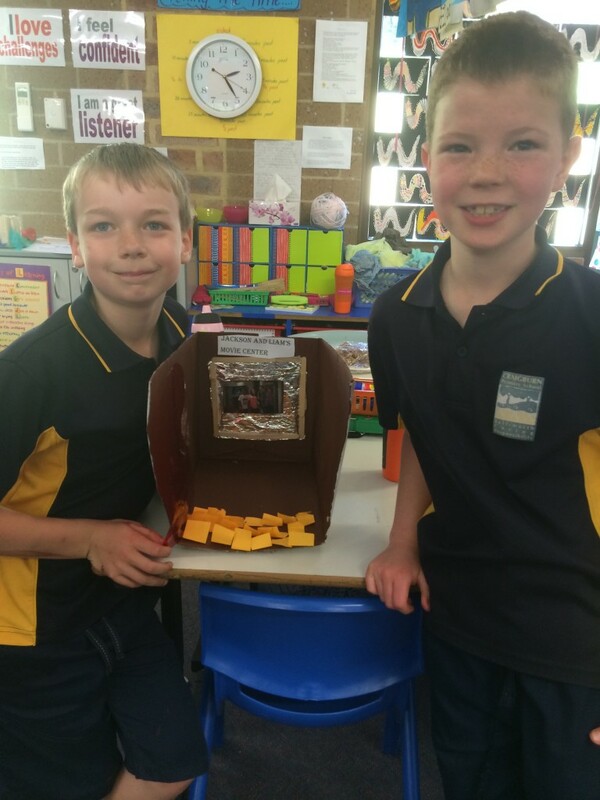 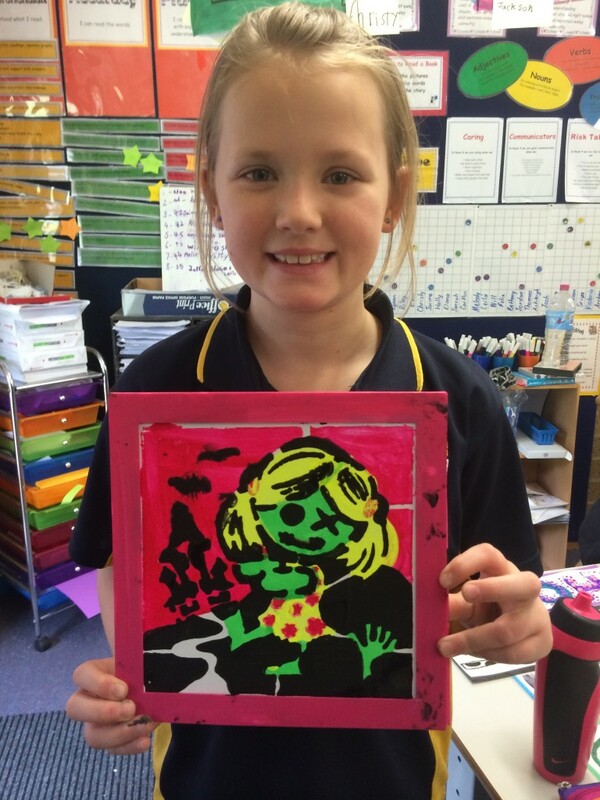 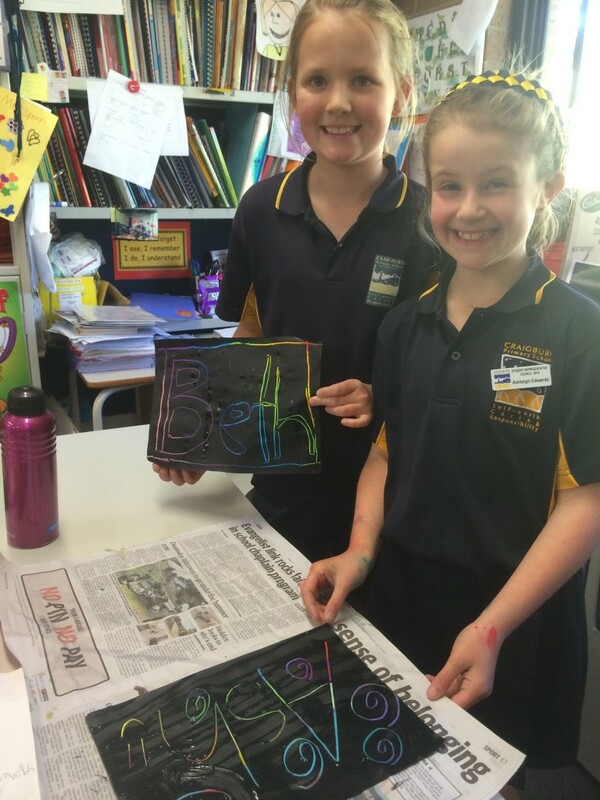 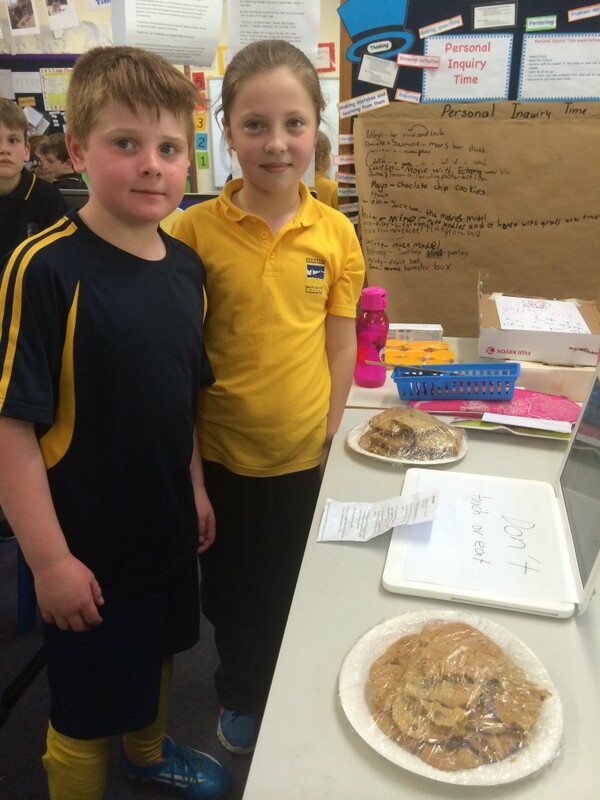 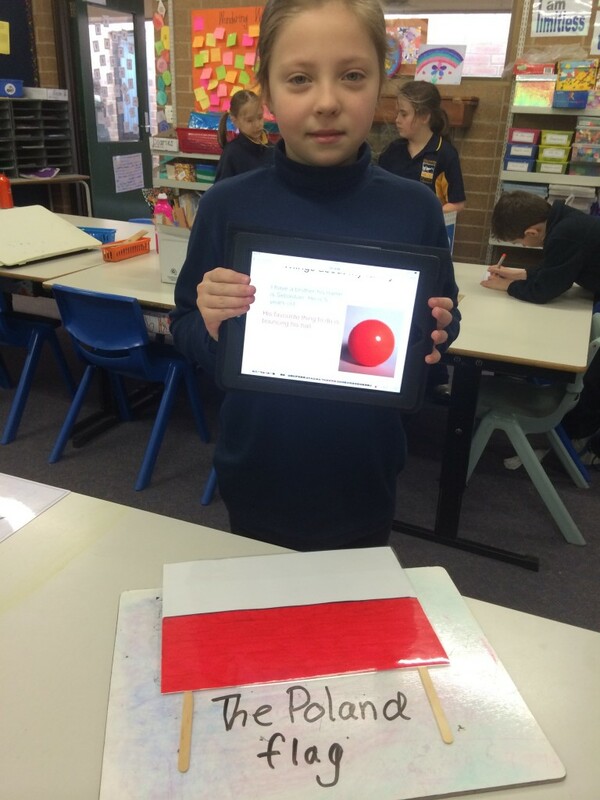 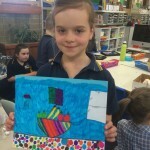 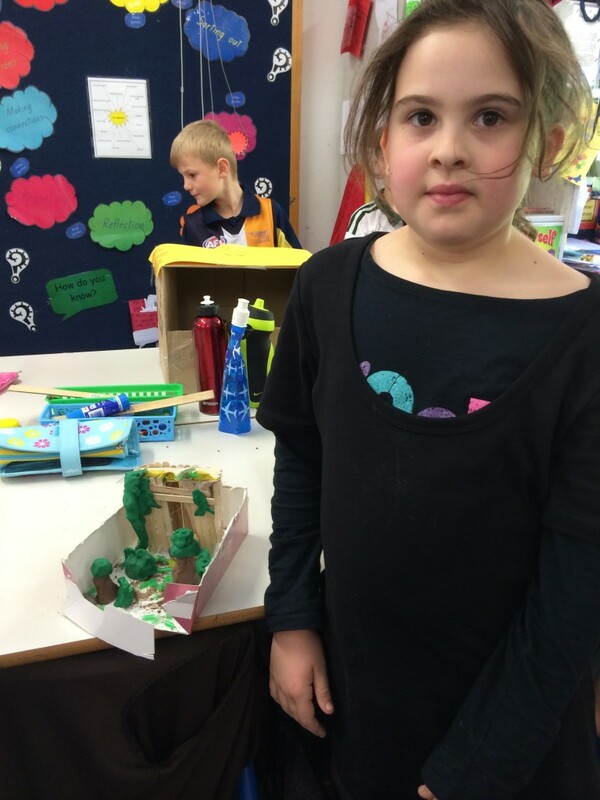 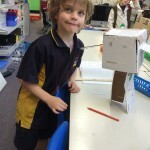 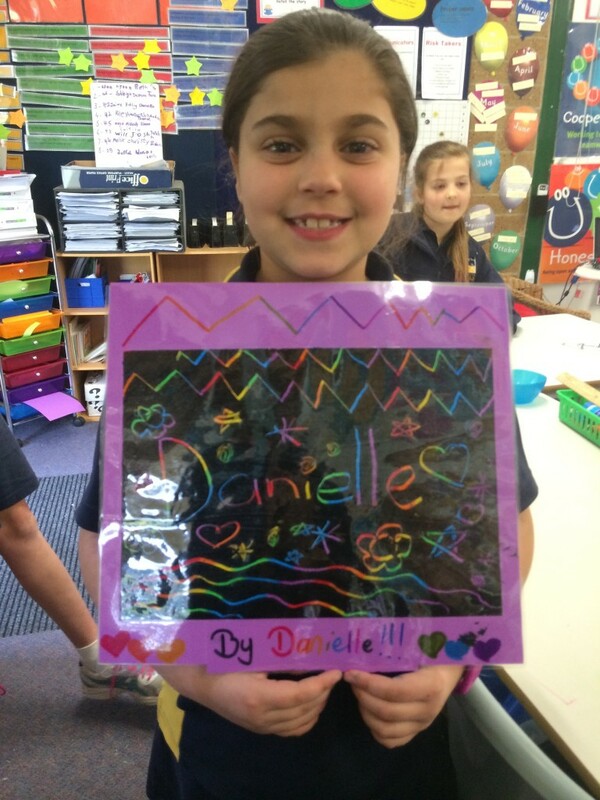 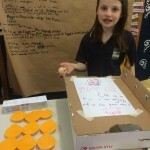 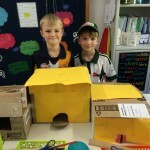 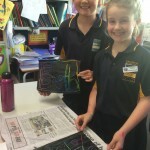 This week we continued our personal learning journey through Personal Inquiry Time – or Genius Hour. 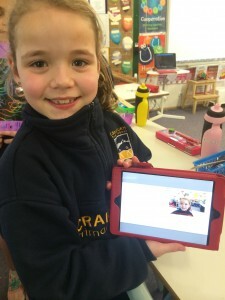 We’ve found that our wondering wall / brainstorming sheet of paper is a huge help – we record our ideas, change our minds and make suggestions for others if needed. 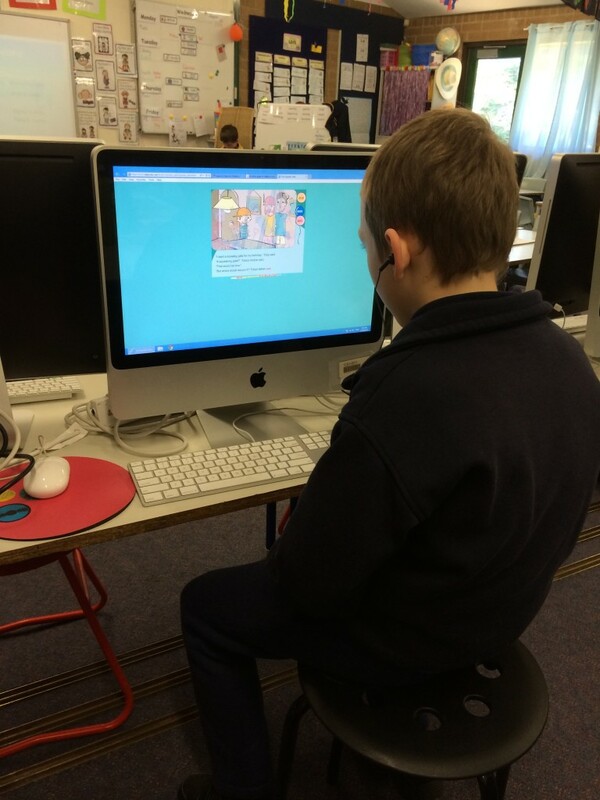 We’ve been using some online resources to help inspire us if needed. 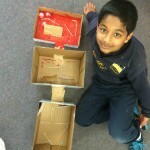 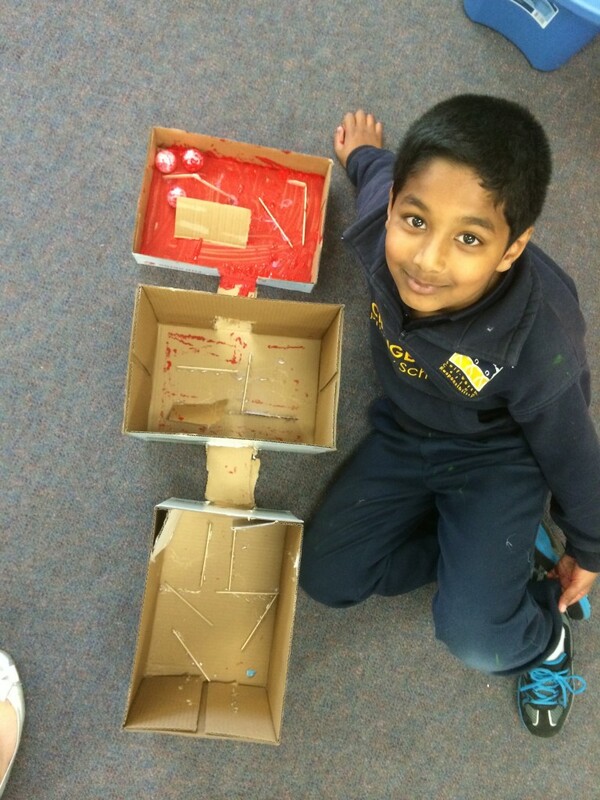 Caine’s Arcade has been a big inspiration, as well as ideas from Pinterest, Art Attack and Mister Maker. 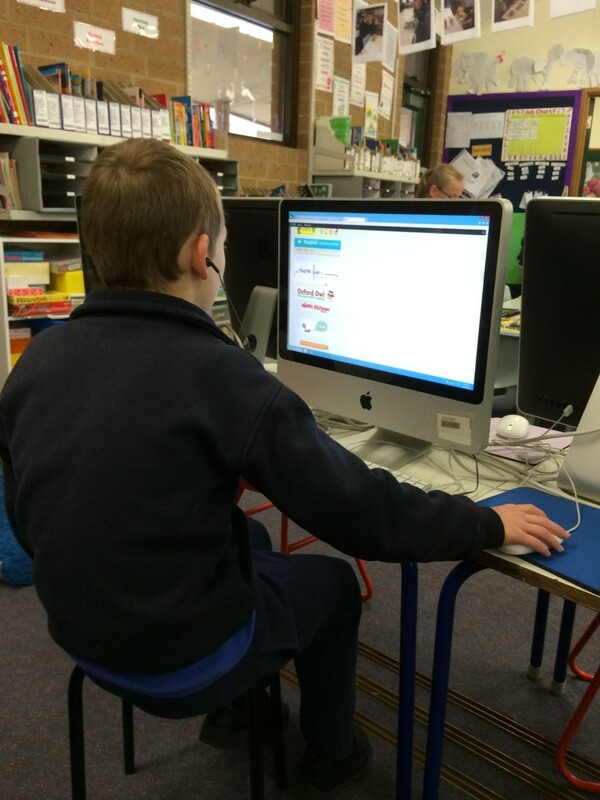 Every student in our class is making lots of progress in many areas. 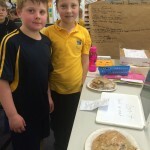 Not only are they investigating and creating topics that they are interested in, we can see many other areas also developing. 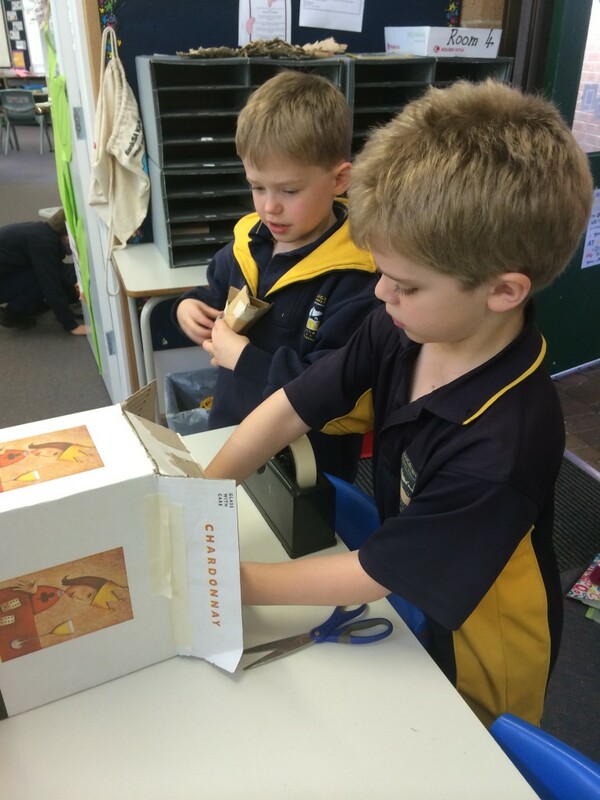 During our gallery walk and reflection time at the end of each session we reflect upon our learning and the skills we are developing. 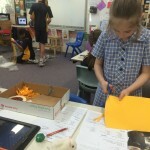 planning – what are we interested in investigating? 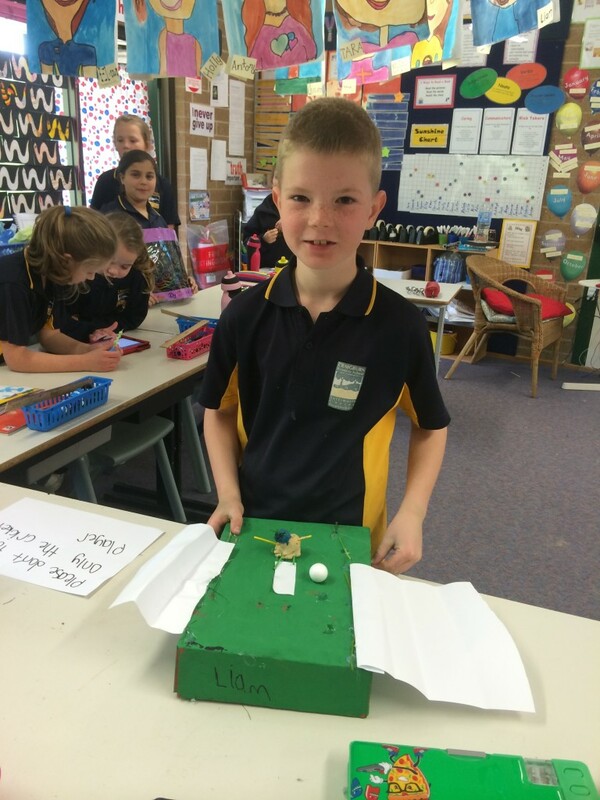 creating models/ games/ items/ movies that we just love!!! 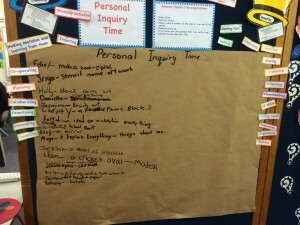 We’ve recorded an introduction to our Personal Inquiry Time this week. 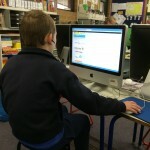 Here are photos from our latest fantastic session! 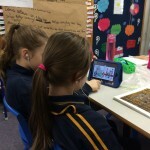 Today Tara and Jaime added a video as a part of their reflection. 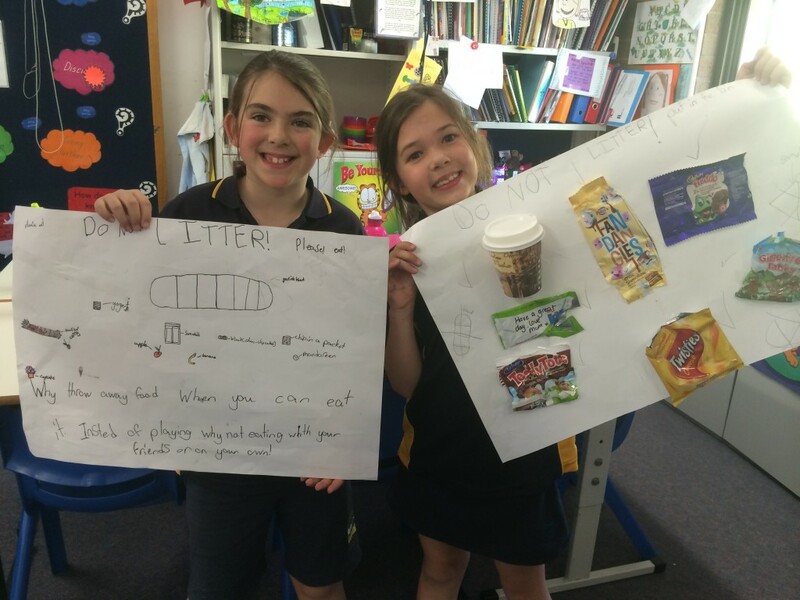 They created a poster about rubbish in our school yard and shared their poster with one of our Reception classes as they are investigating a n Inquiry unit about Refuse, Reuse, Recycle. 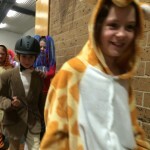 Here’s the clip of Tara and Jaime’s message. 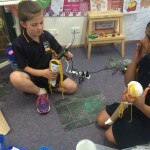 On Thursday we went to a Tennis Clinic to learn new tennis skills and practise skills we’ve learned over the last few years. 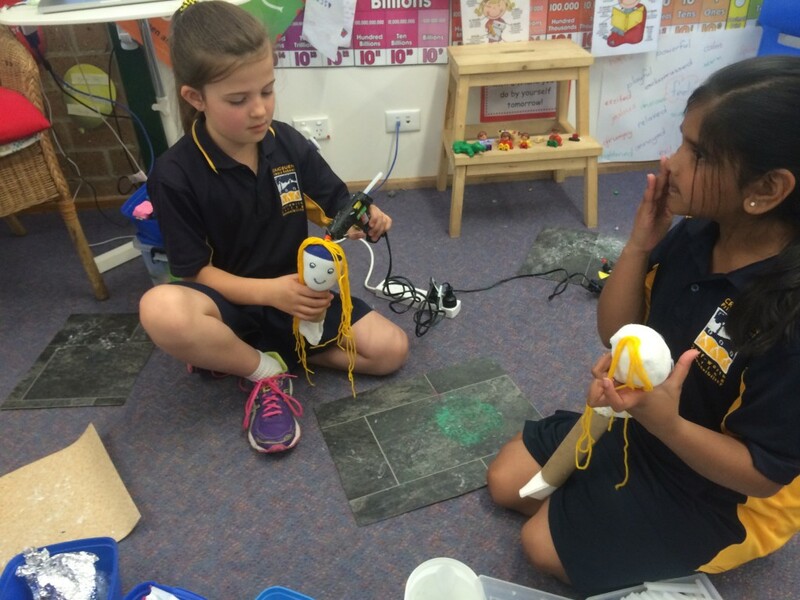 We’re very lucky that our classes have a free tennis clinic every year and so we can build up our skills each time they visit. 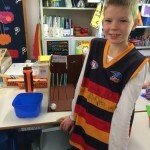 Shane was the coach and he taught us how to do a forehand, backhand and have rallies. 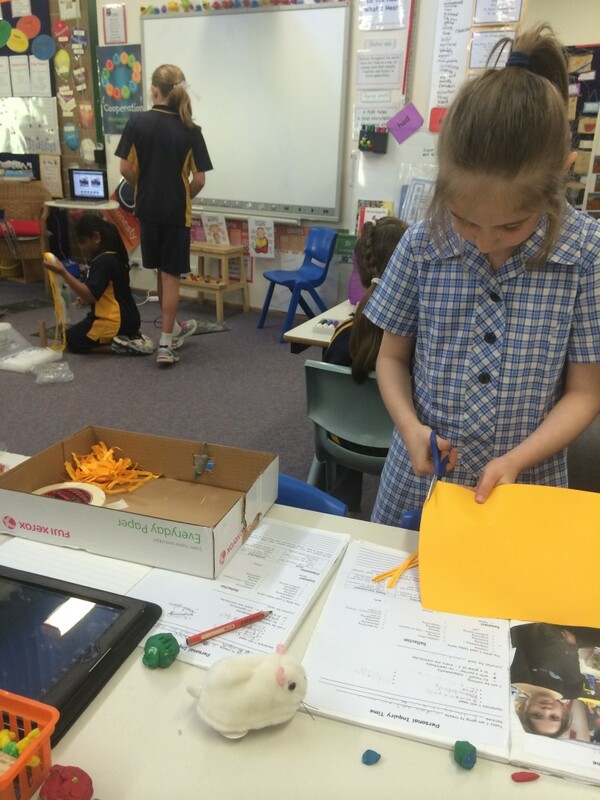 We had an AMAZING Personal Inquiry time session today. 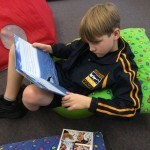 Our Personal Inquiry time is a direct link to the Genius Hour passions you may have read about. 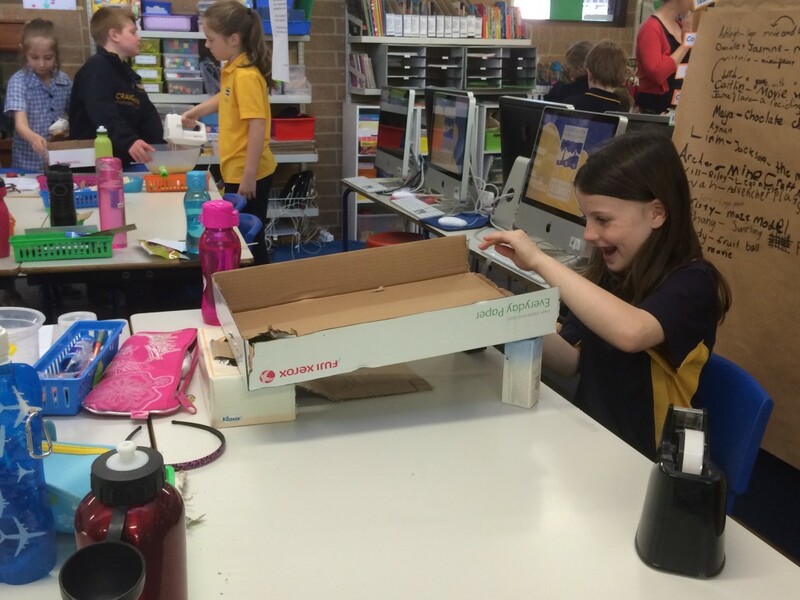 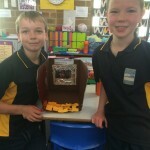 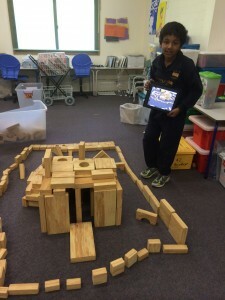 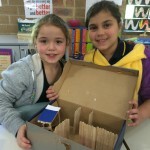 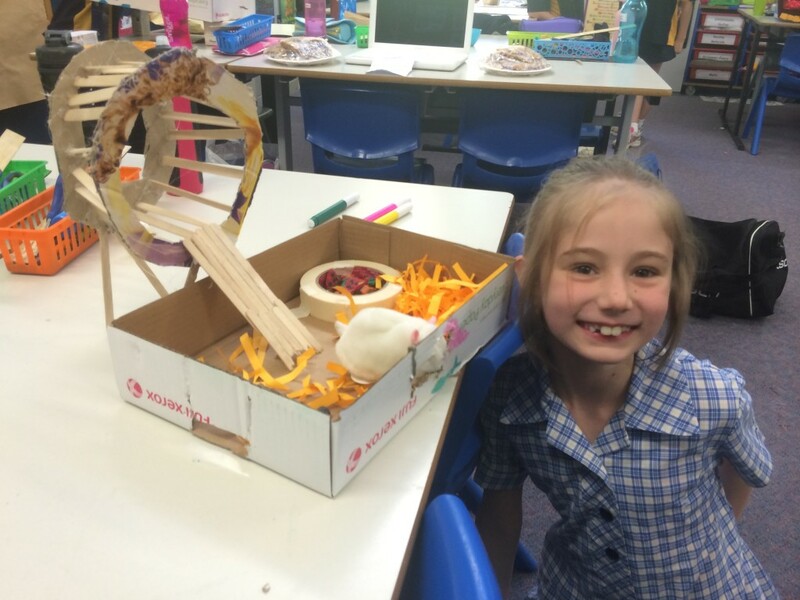 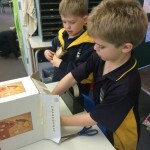 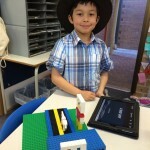 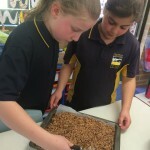 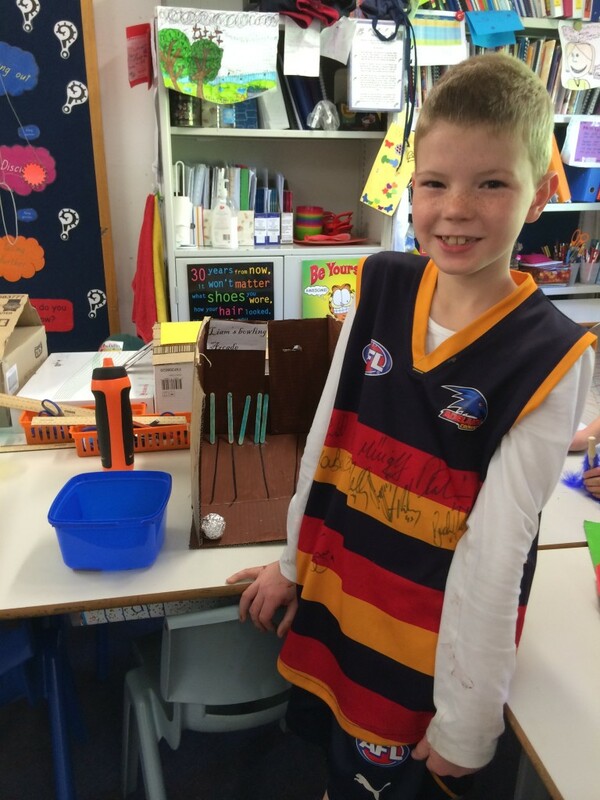 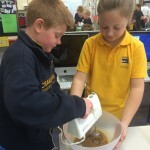 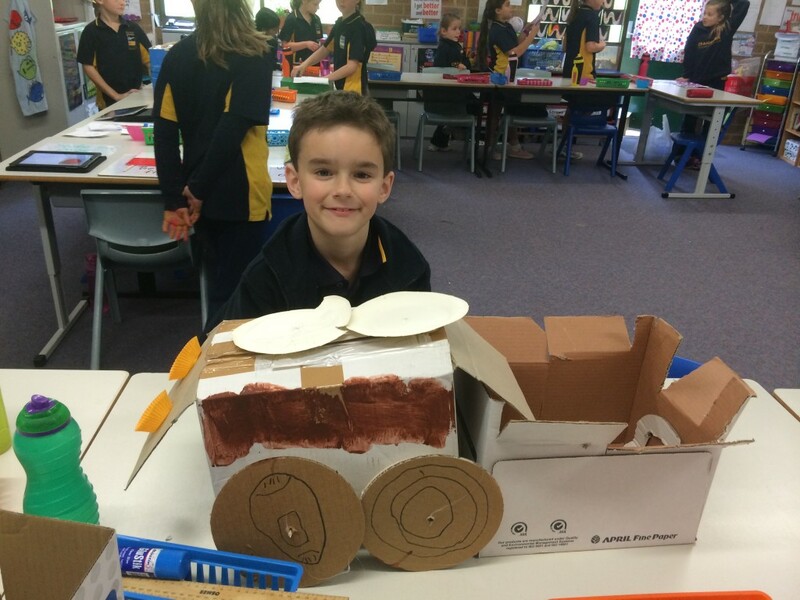 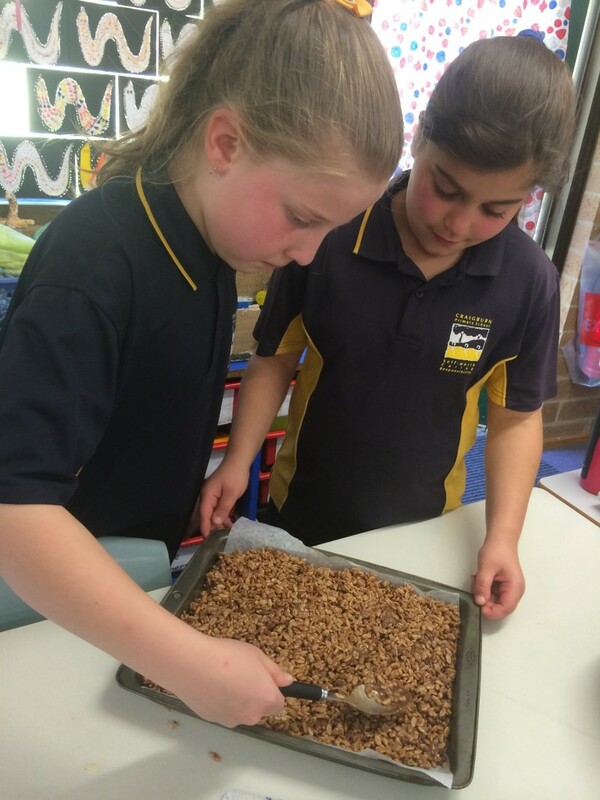 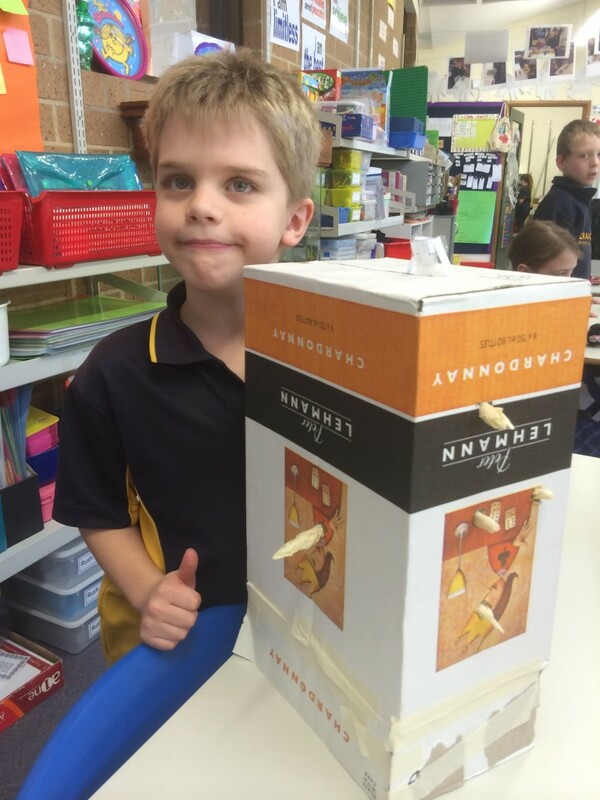 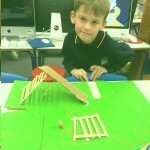 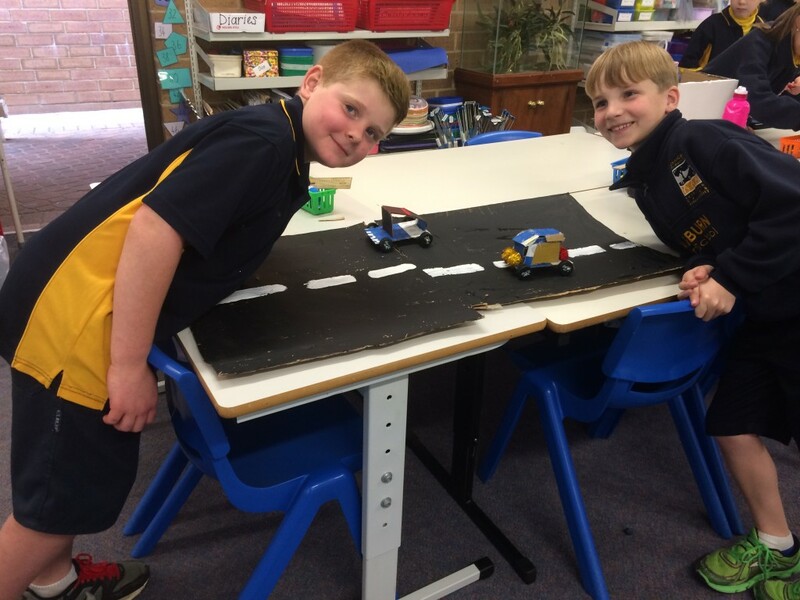 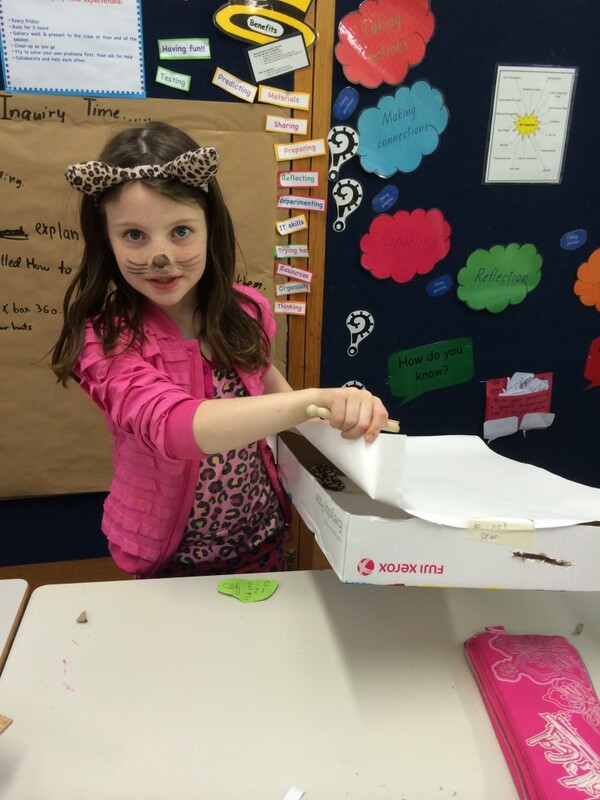 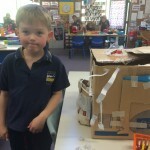 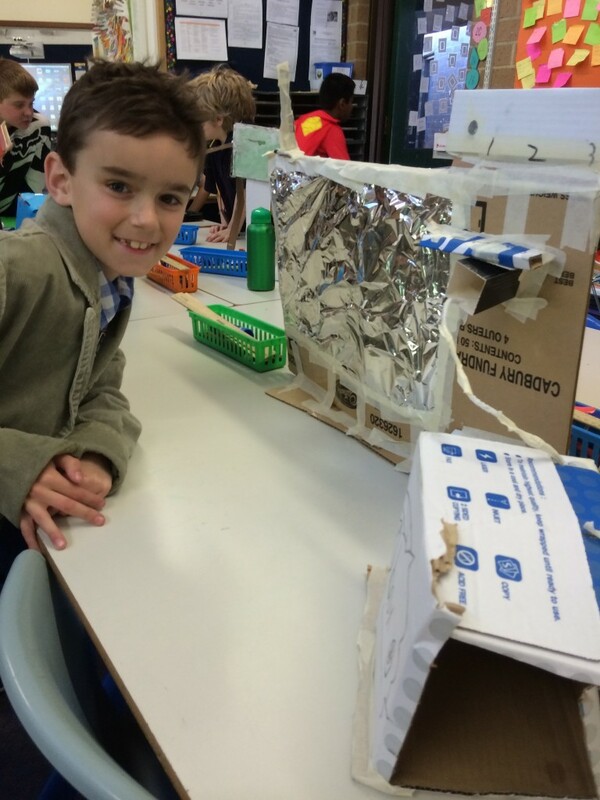 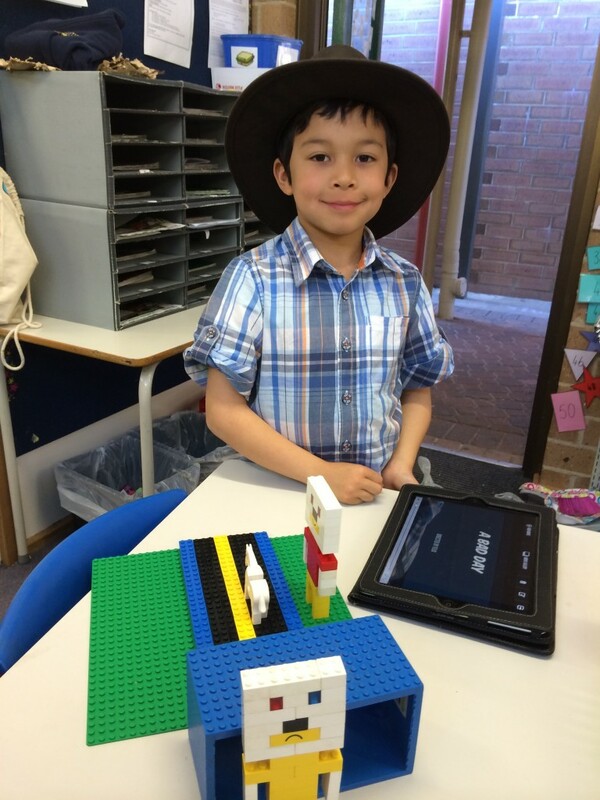 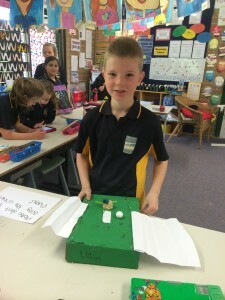 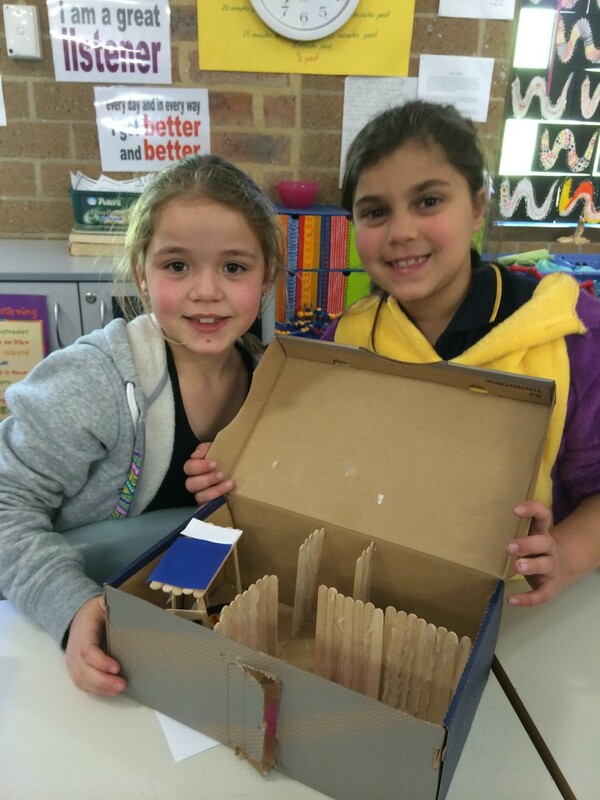 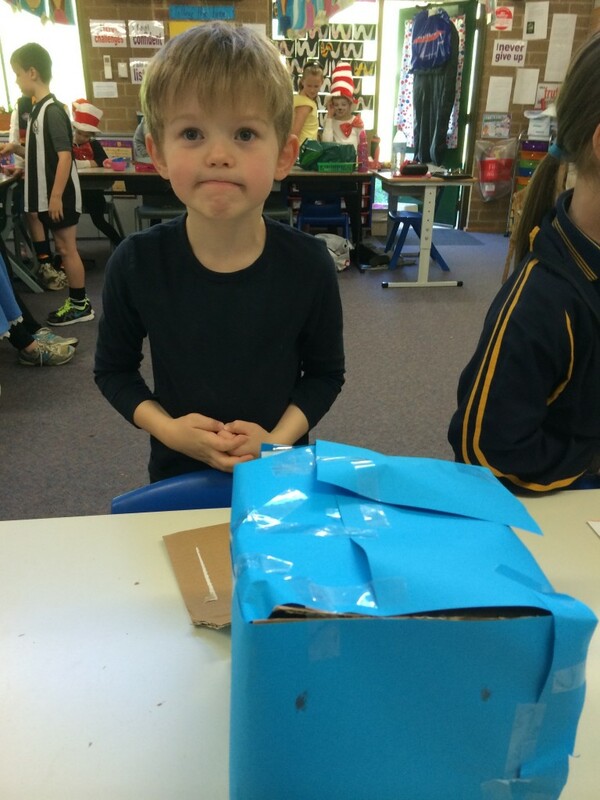 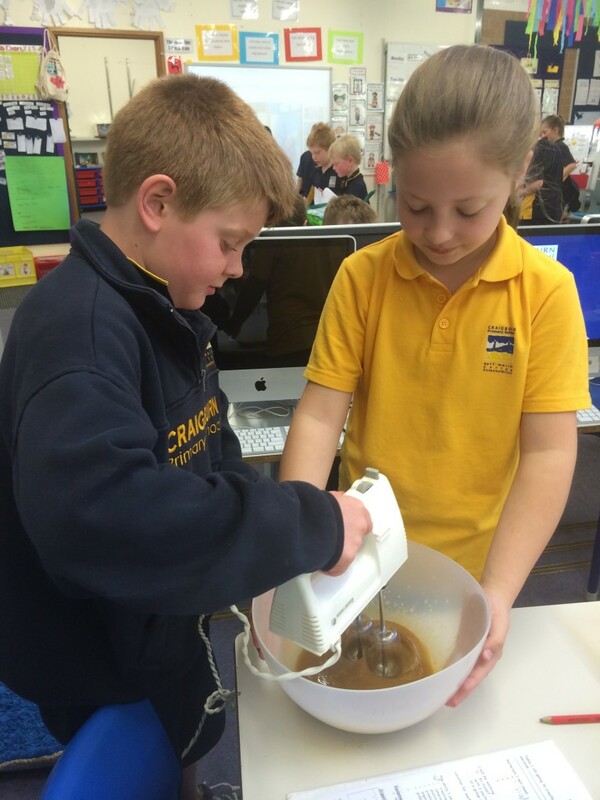 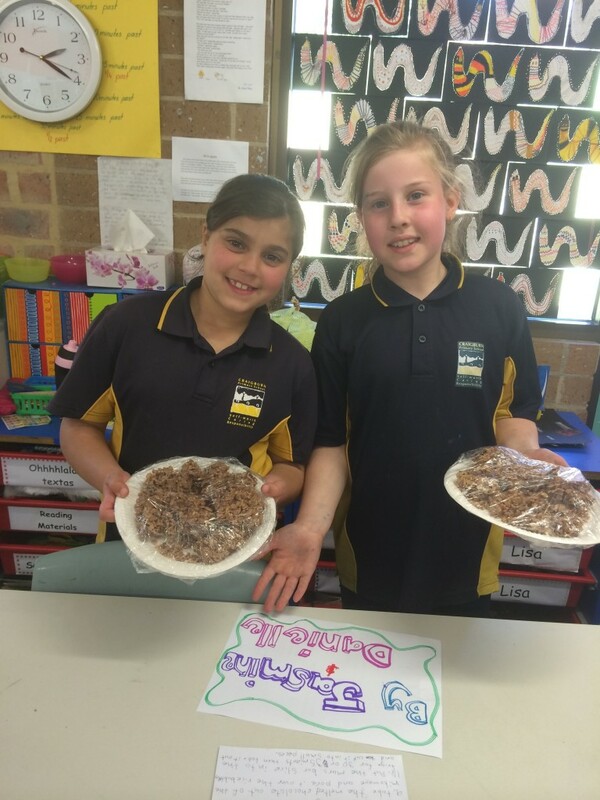 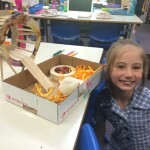 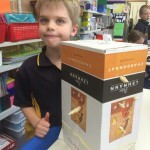 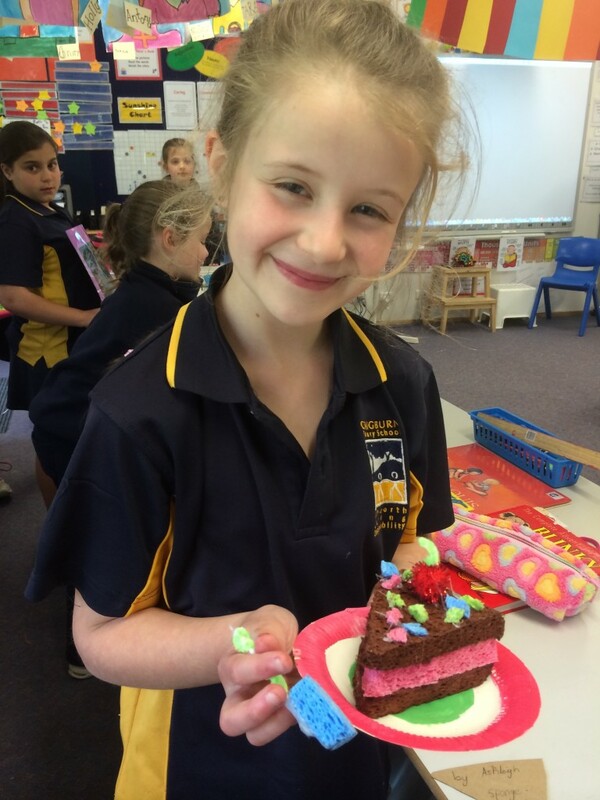 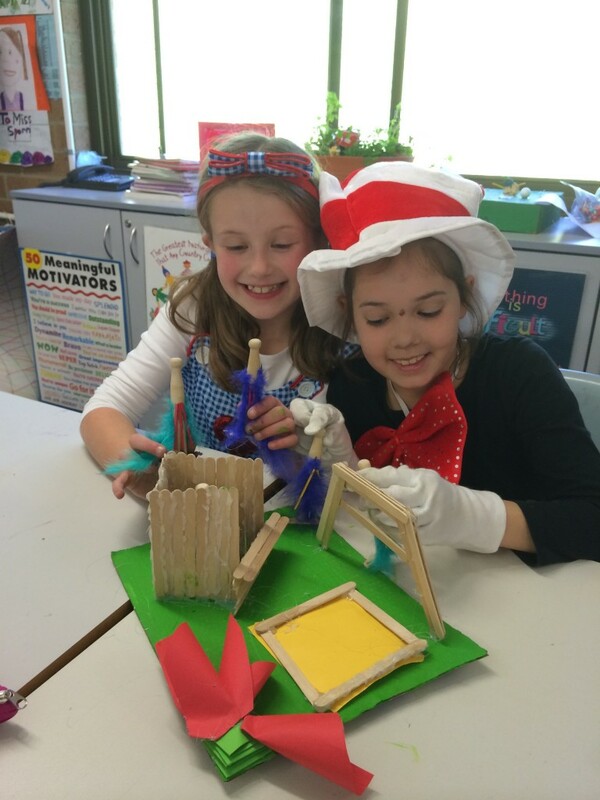 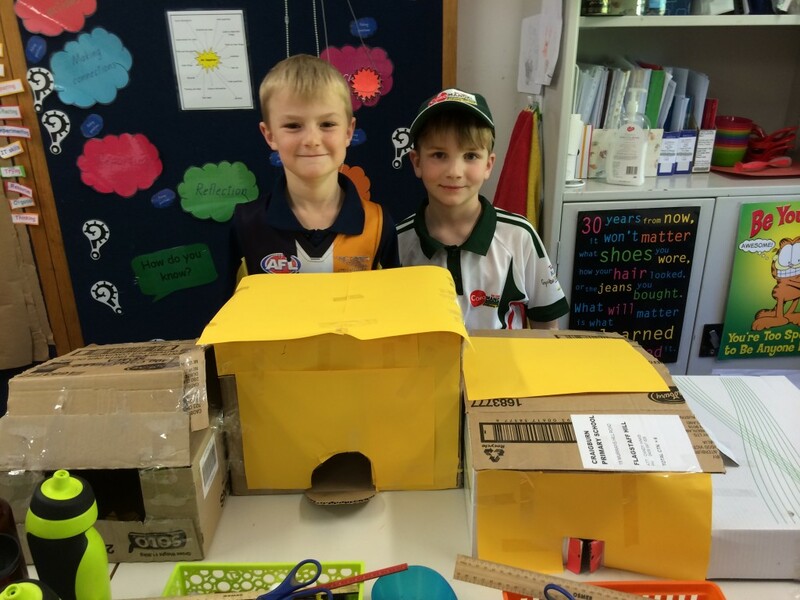 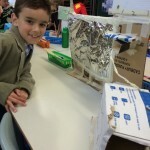 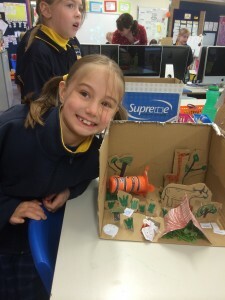 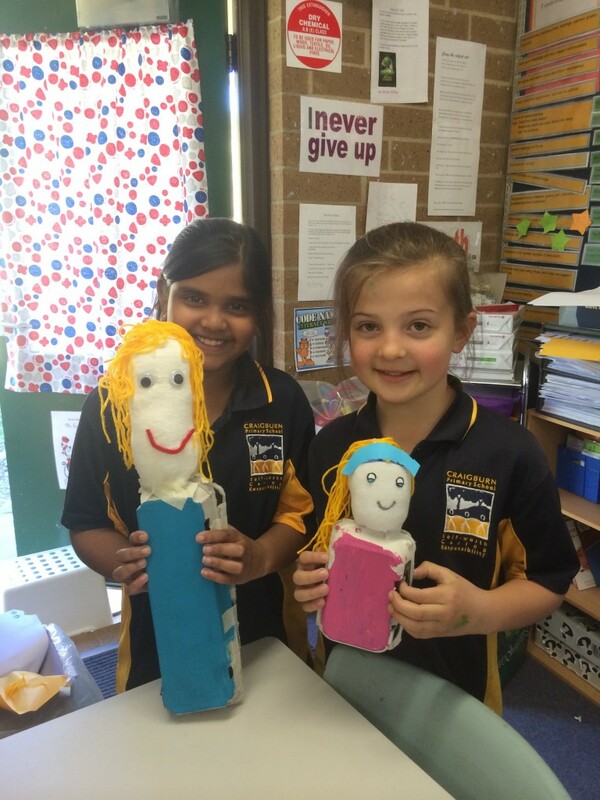 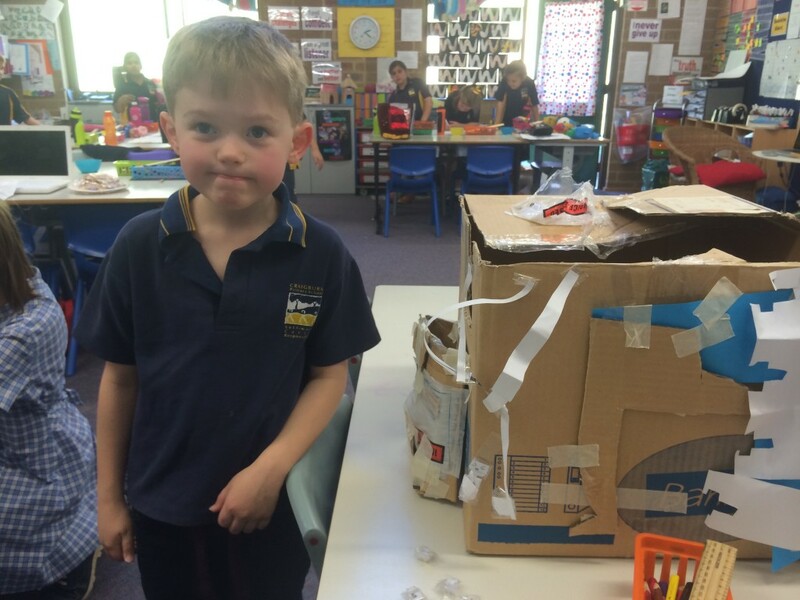 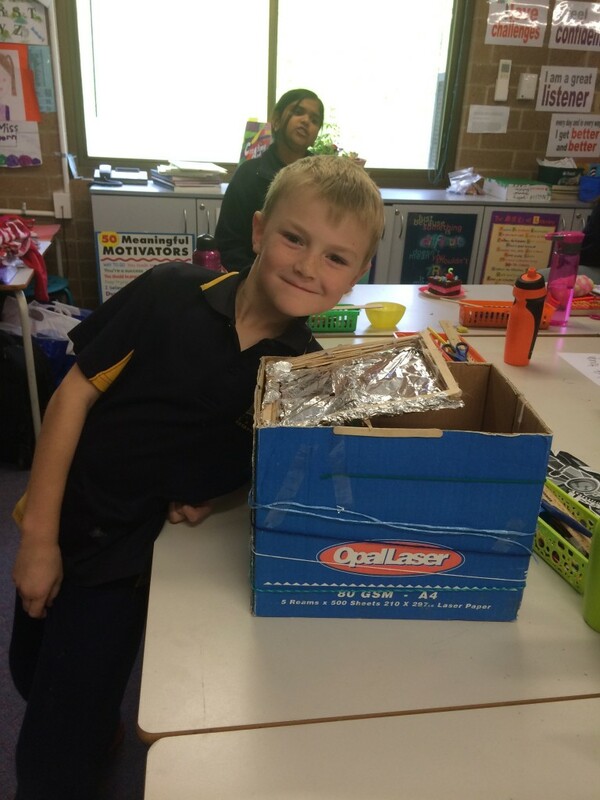 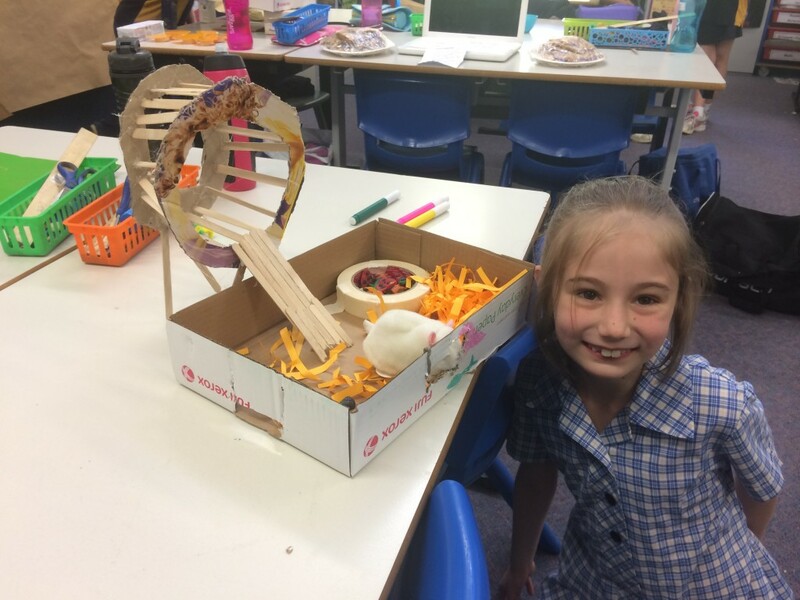 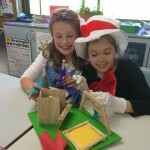 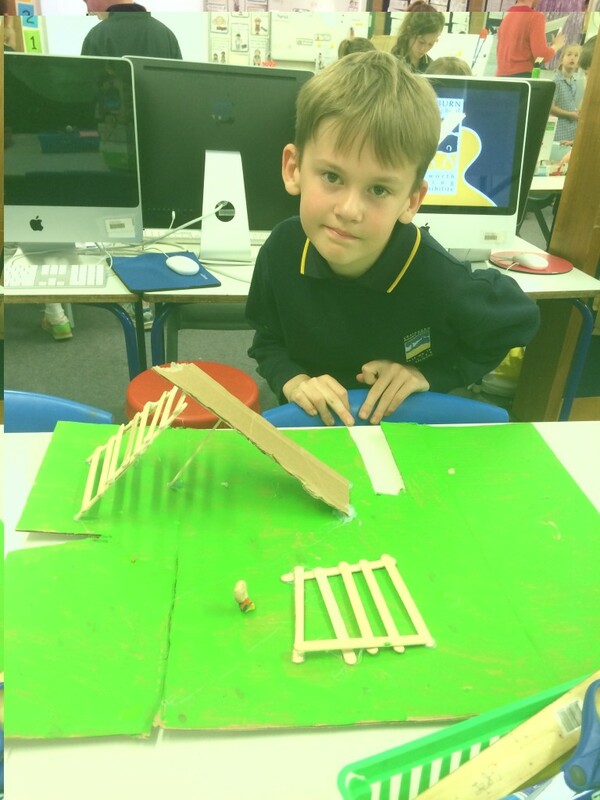 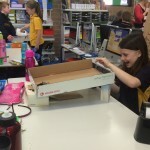 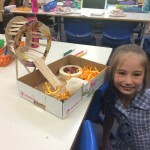 The students in our class have loved having time to make, create, investigate something they are passionate about. 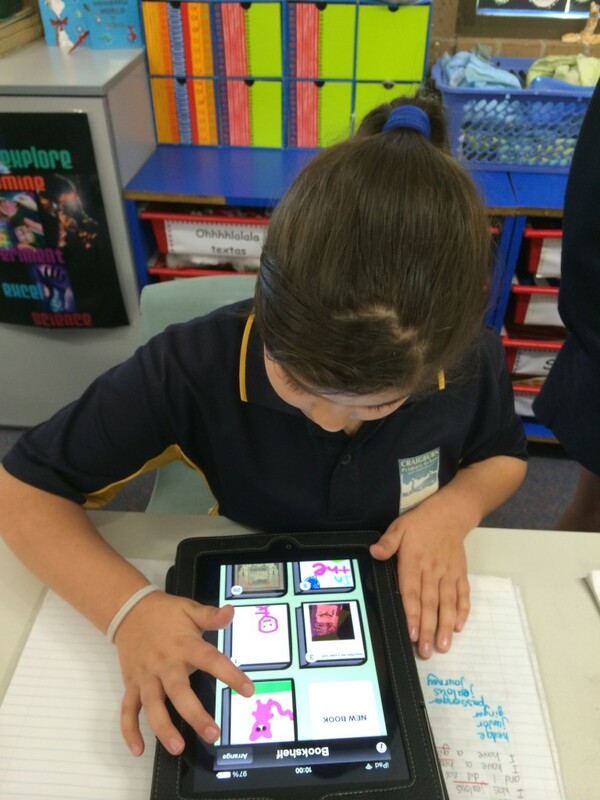 Every week they’ve investigated new areas or revisited topics that they’ve loved and want to investigate further. 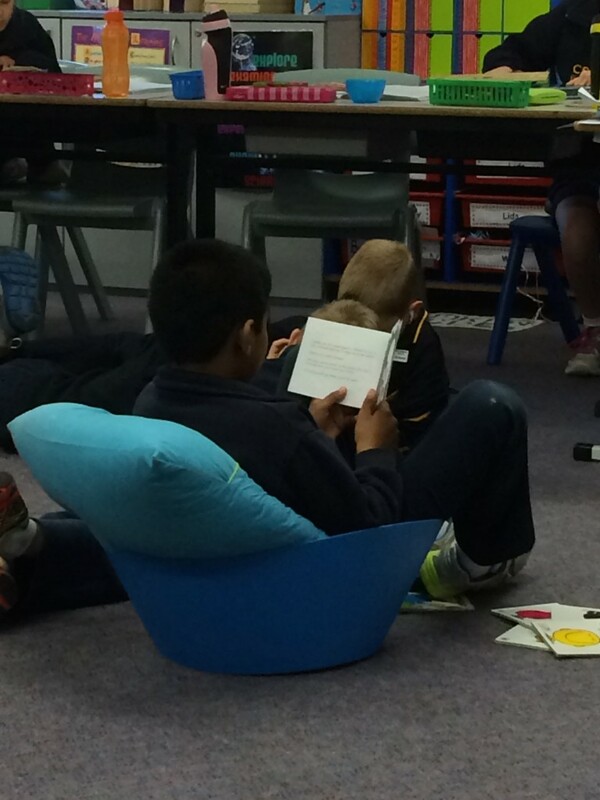 When we reflected upon today’s session we thought today’s session was OUR BEST ONE EVER!! 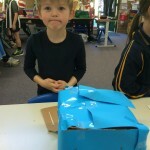 We had lots of different creations – arcade games (inspired by Caine’s Arcade), models made out of popsticks, clay, cardboard boxes, paper, recycled materials, iPad presentations – after a bit of app smashing, Art works, shoe box dioramas, books, cooking – with a Keynote pressie to show others the steps to make Milo Balls – just to name a few!!! 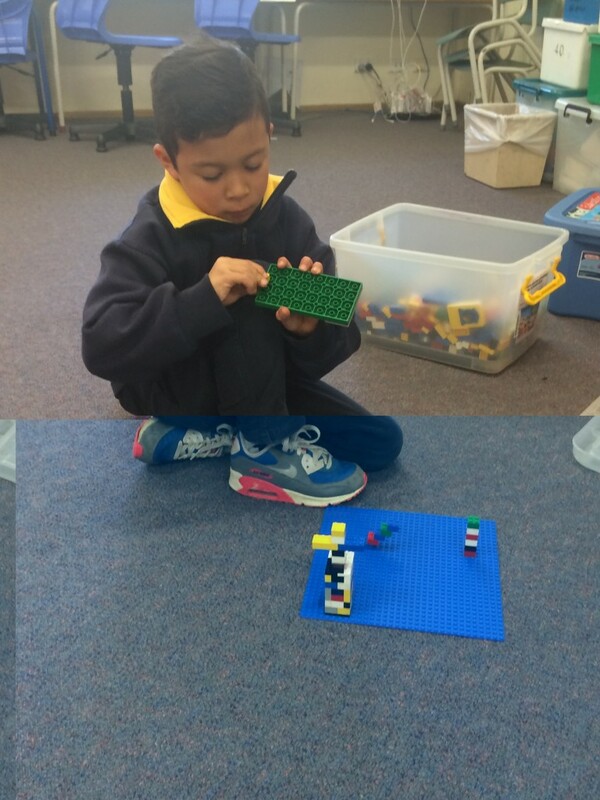 Each week we reflect about our session and discuss our successes, disasters and what we can do next time. 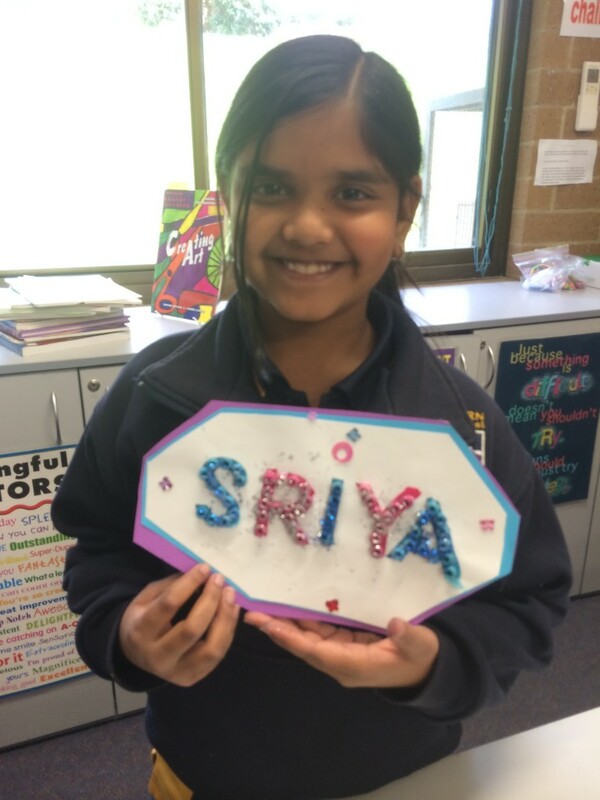 Our reflection sessions are a really important part of the process and it’s how we learn about each others creations and what inspired them to create it. 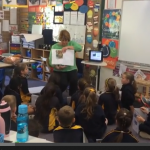 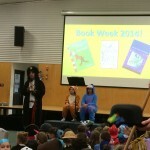 Today we had a Bookweek assembly. 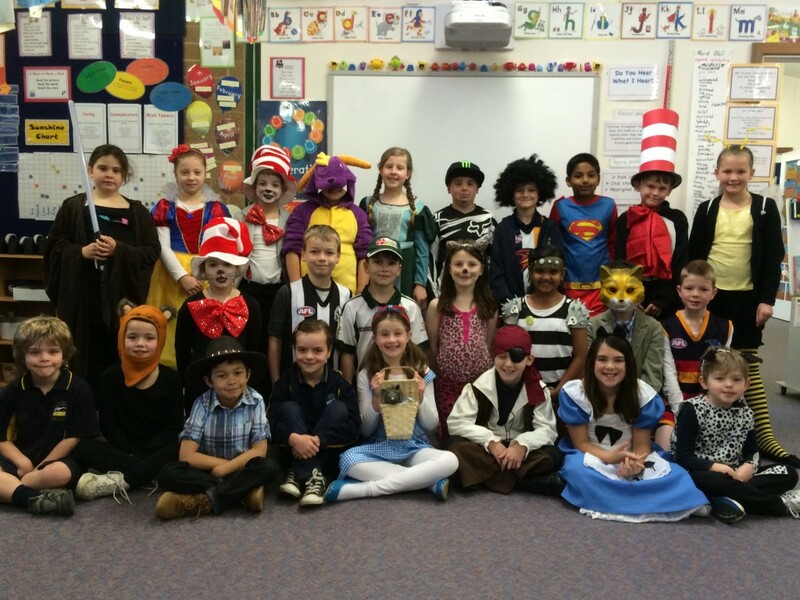 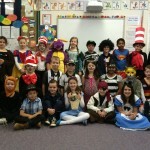 Every student in our school was asked to dress up as a book / movie character. 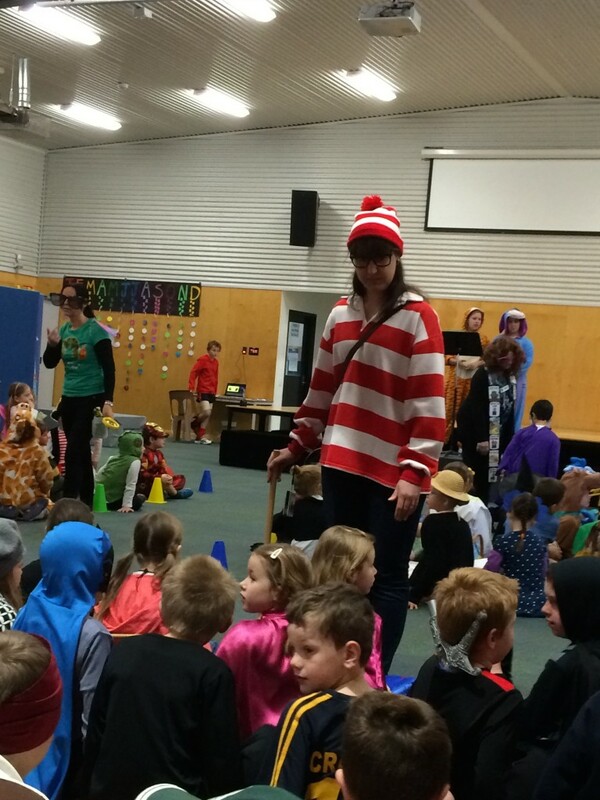 Our SLEG students hosted the assembly and each class had a turn at walking around all of the students and showed them their costumes. 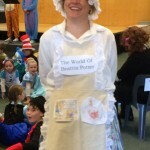 We loved some of the costumes we saw. 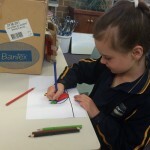 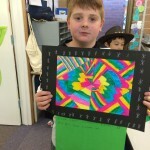 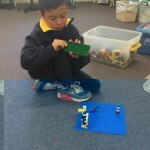 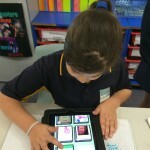 Our photos start with our class and then show some from different students in our school. 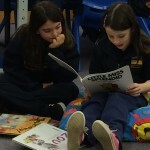 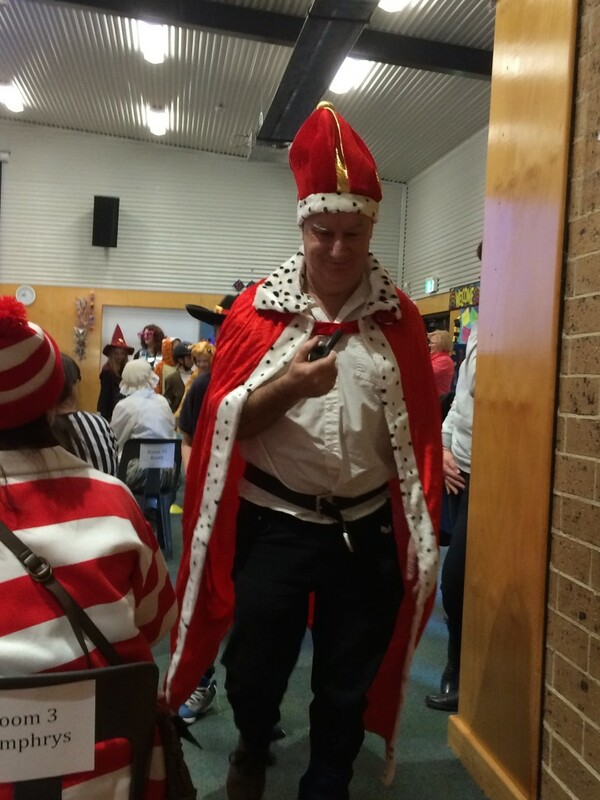 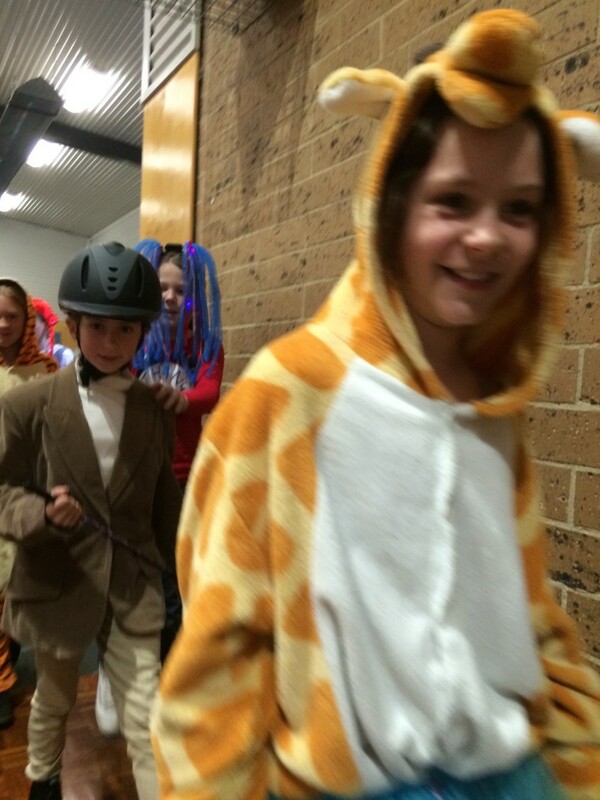 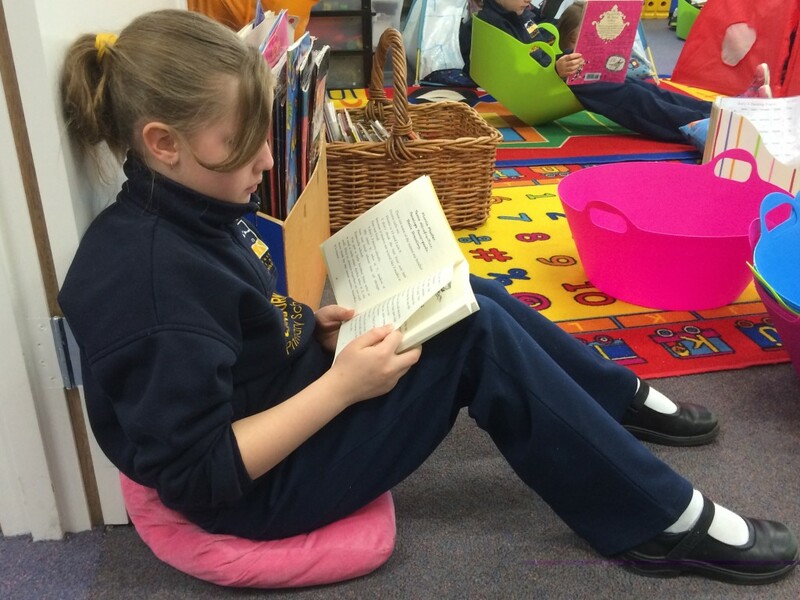 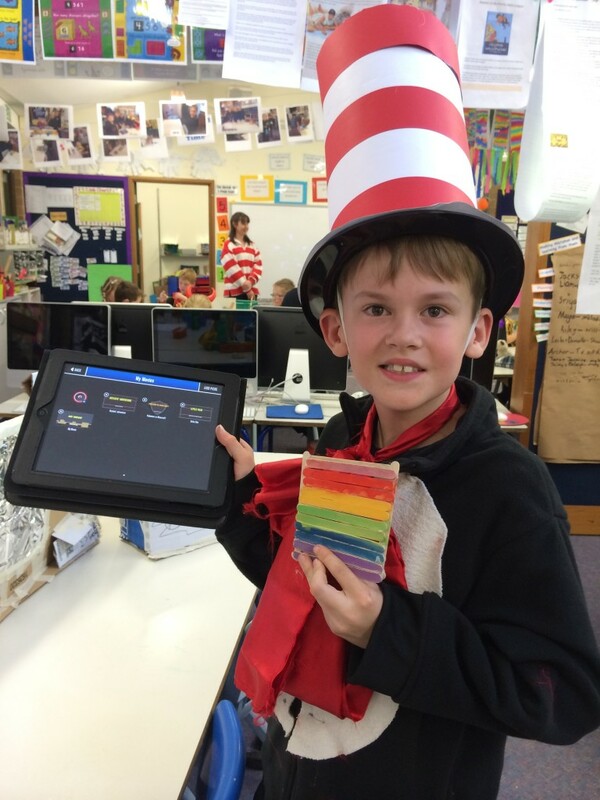 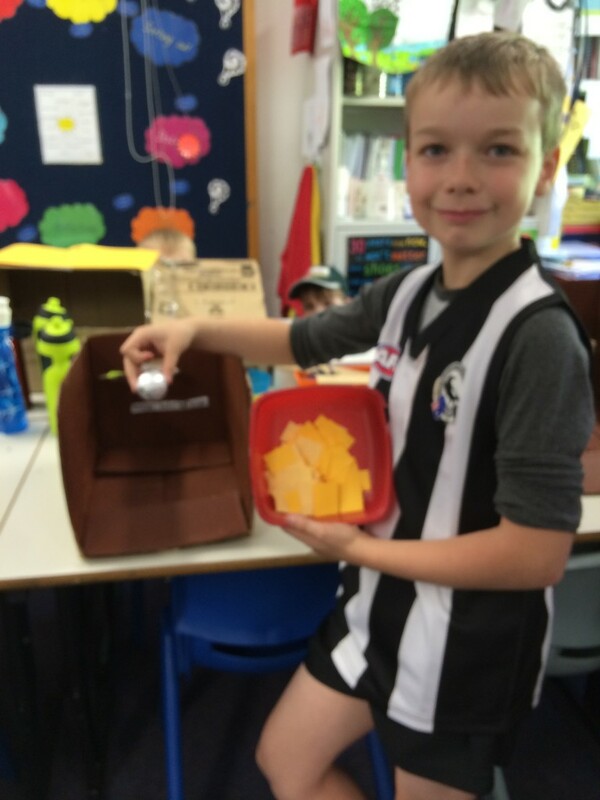 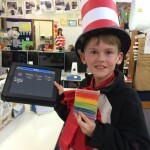 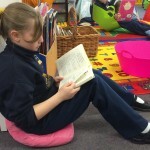 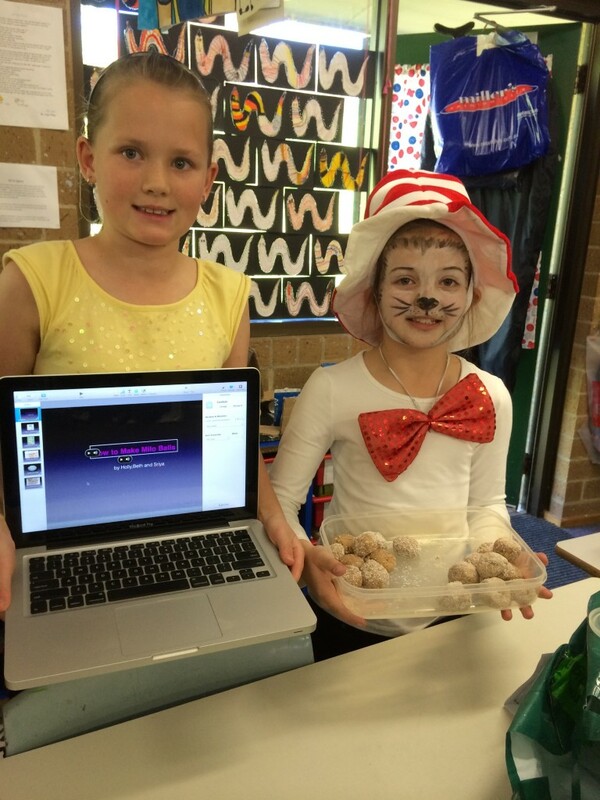 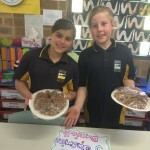 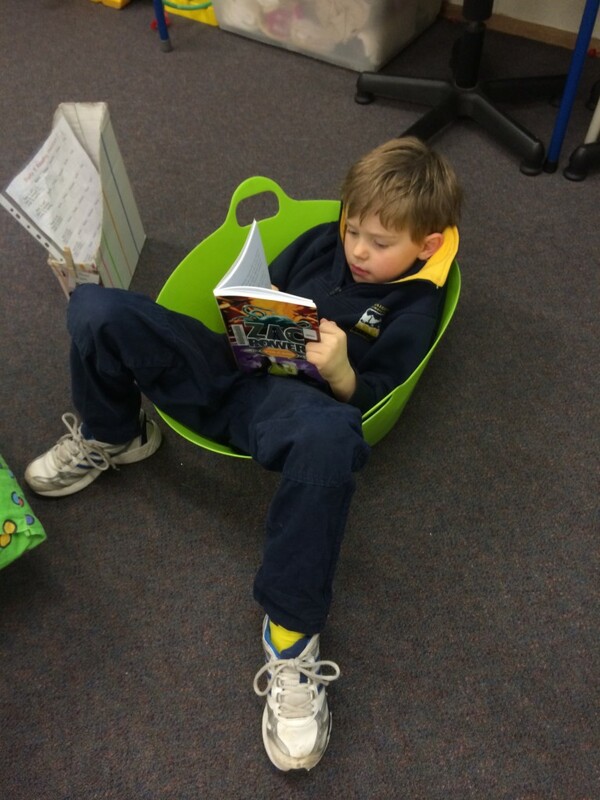 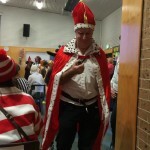 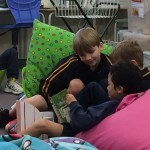 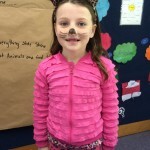 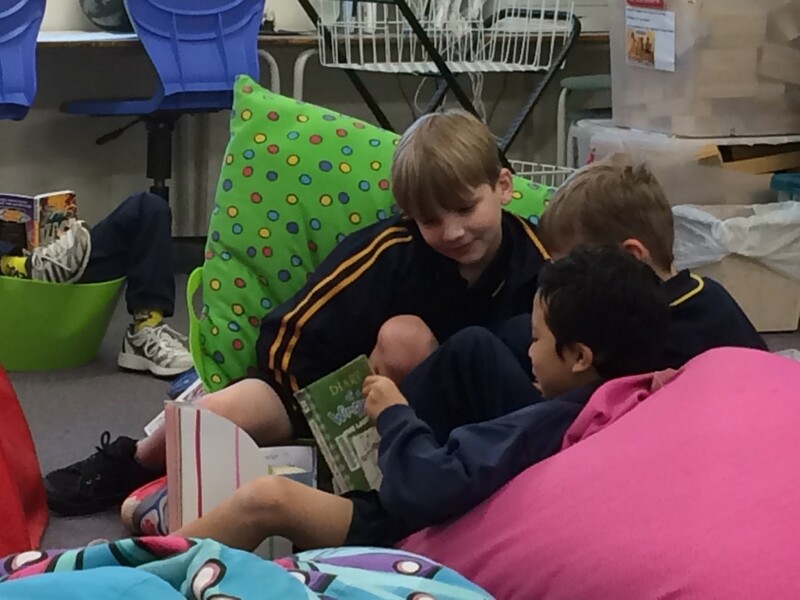 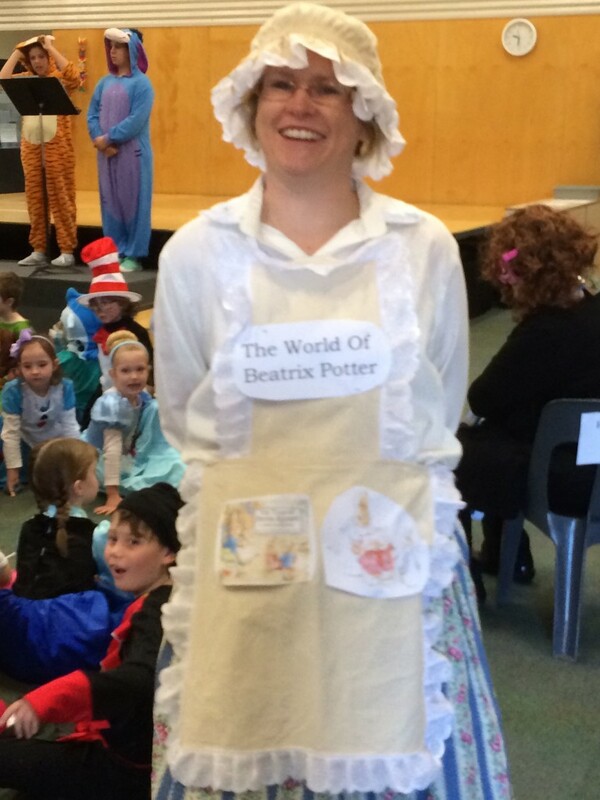 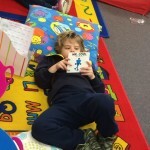 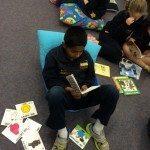 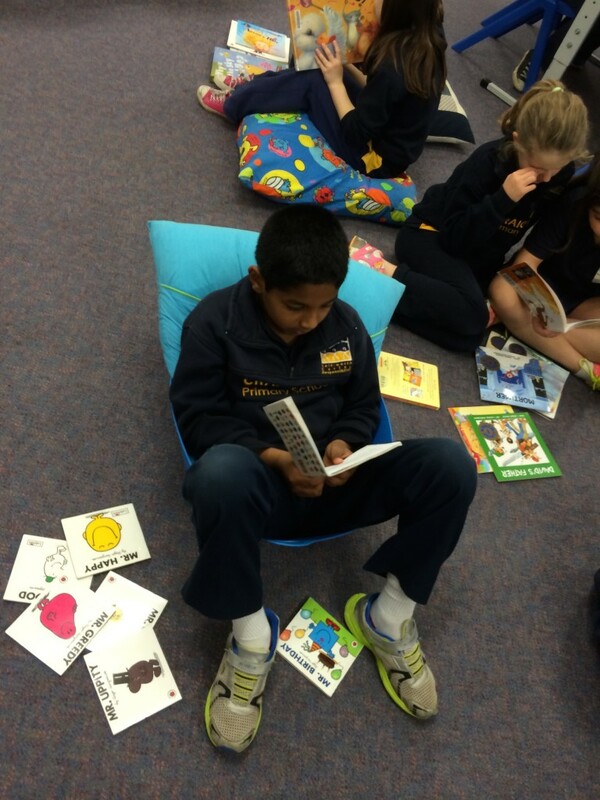 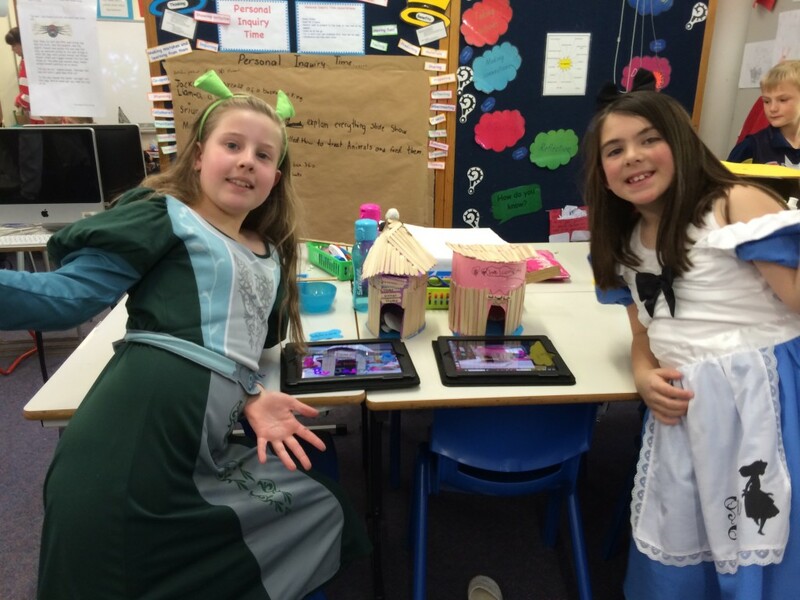 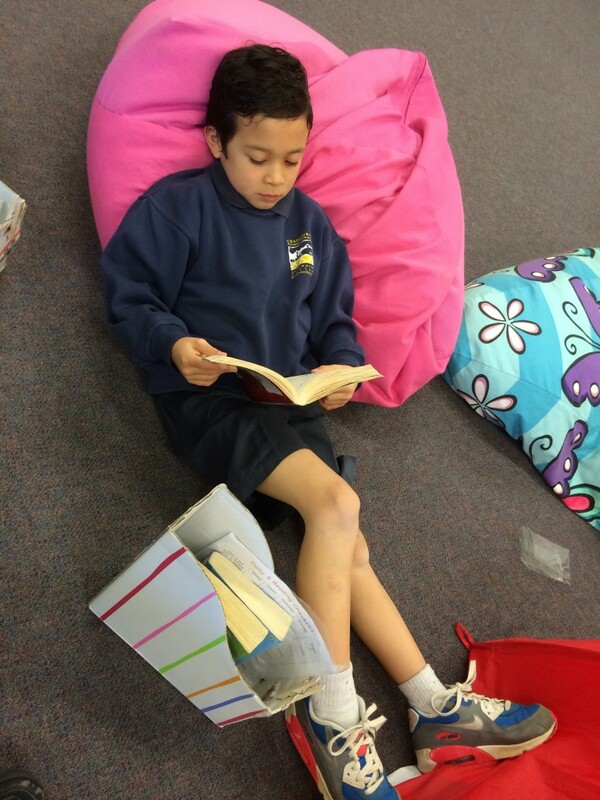 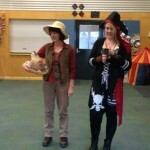 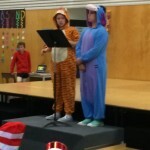 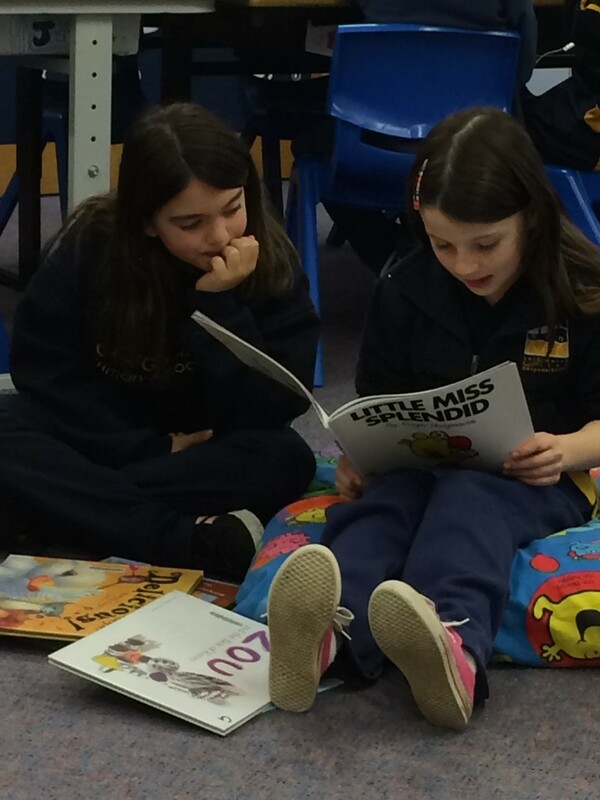 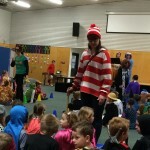 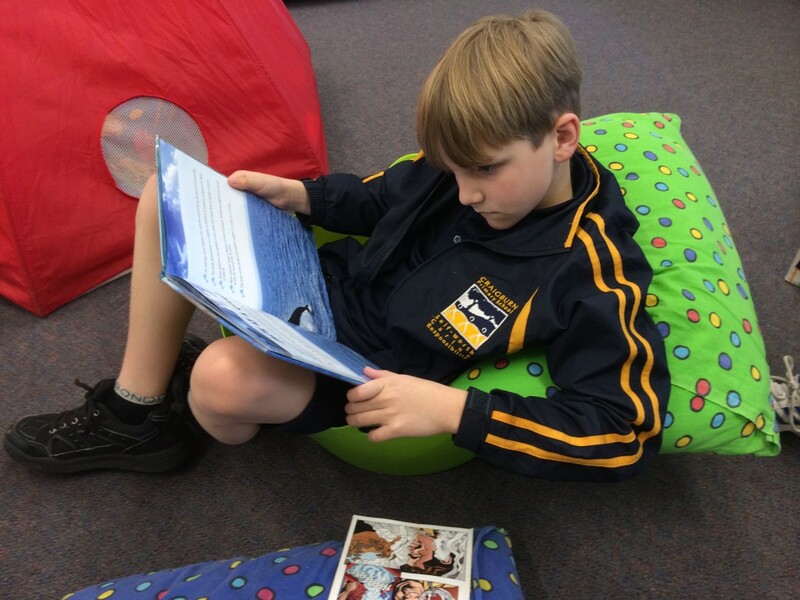 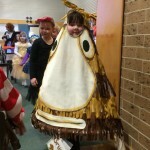 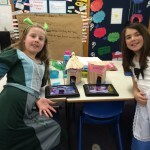 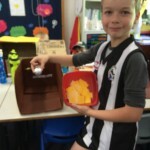 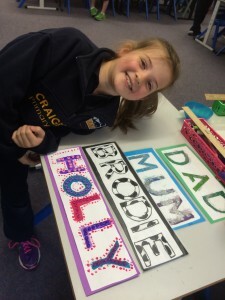 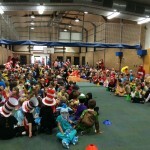 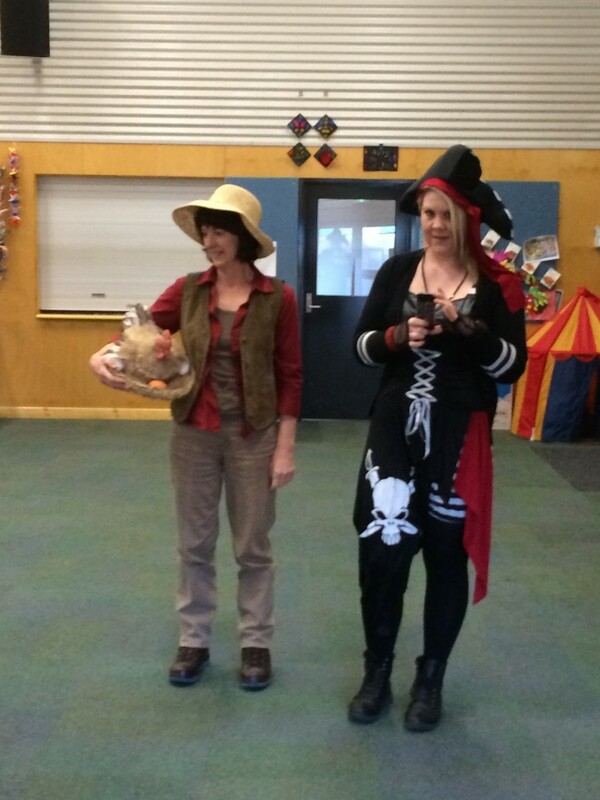 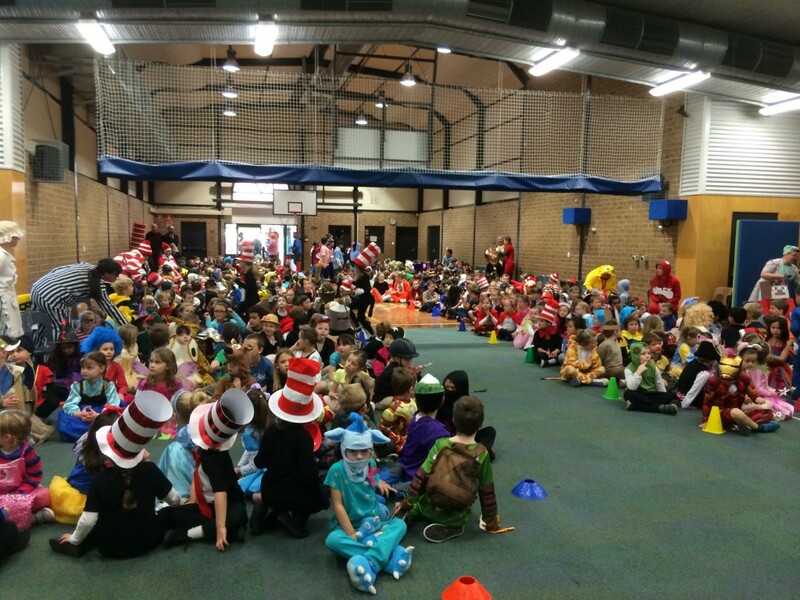 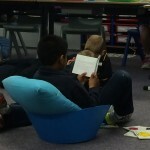 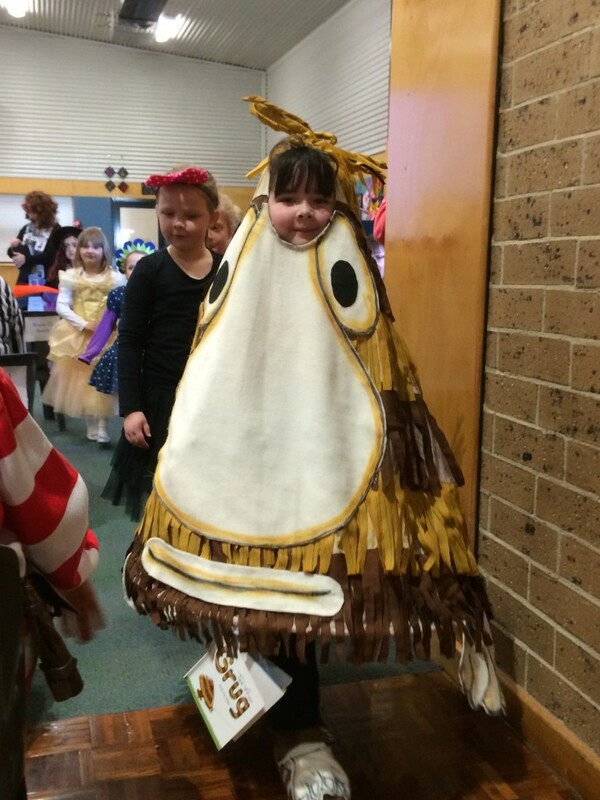 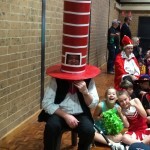 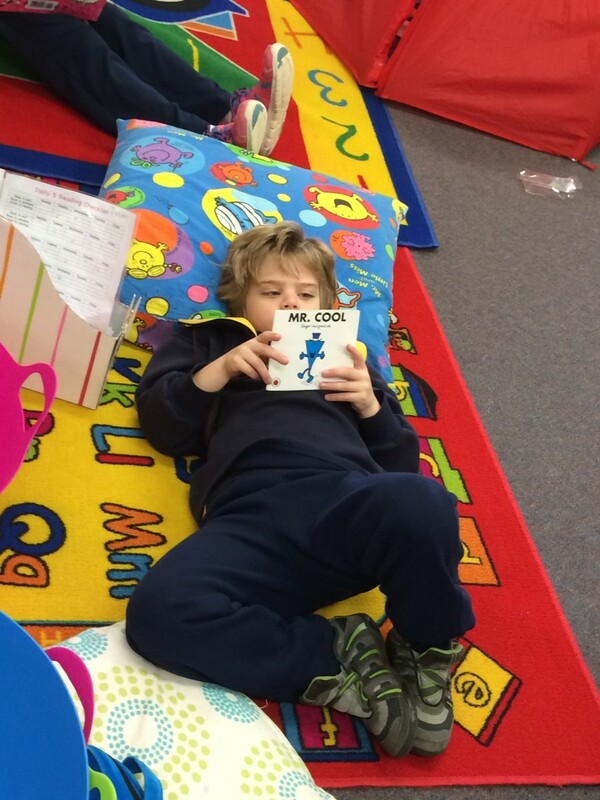 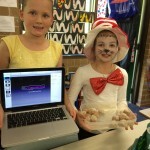 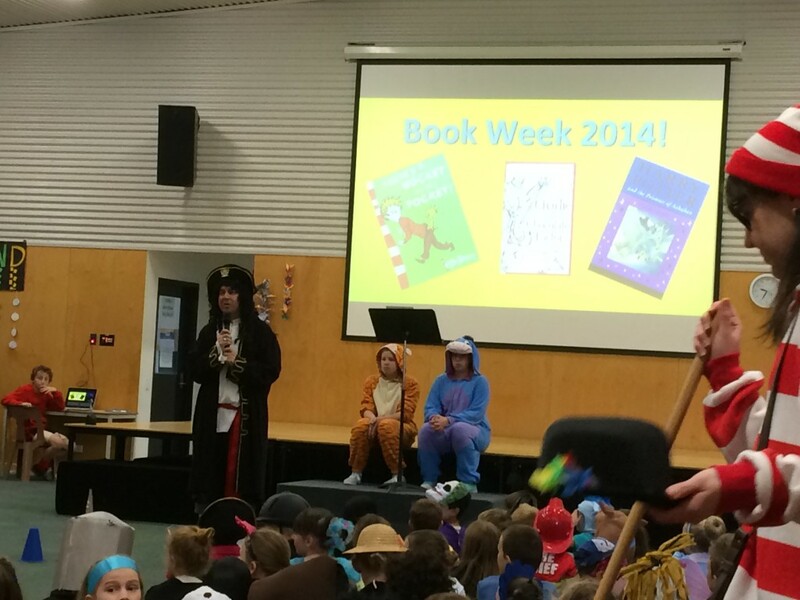 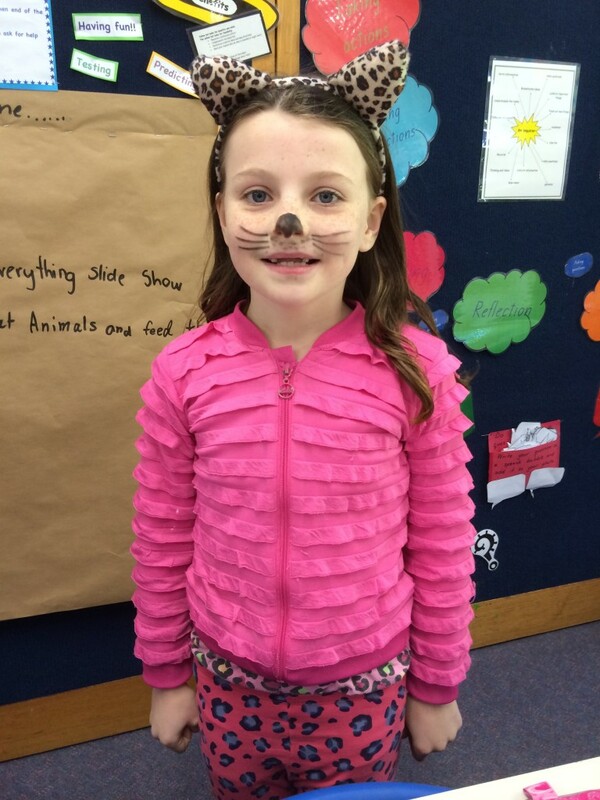 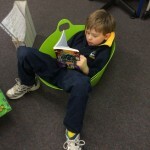 What did you do at your school to celebrate Bookweek? 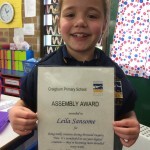 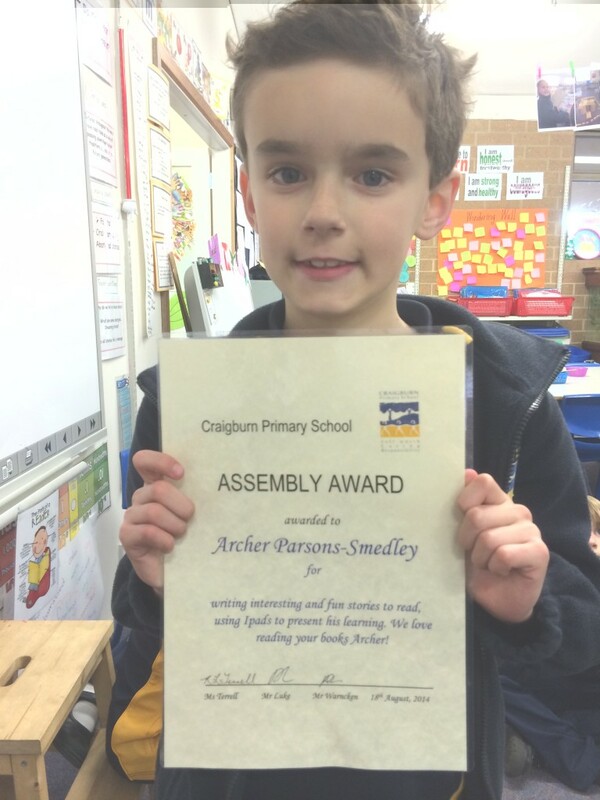 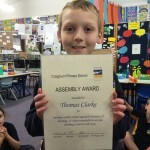 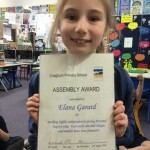 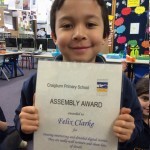 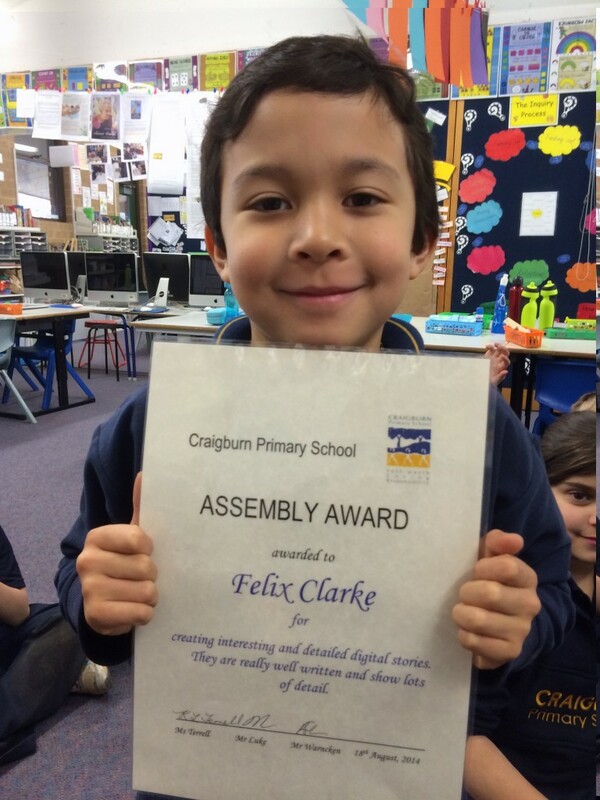 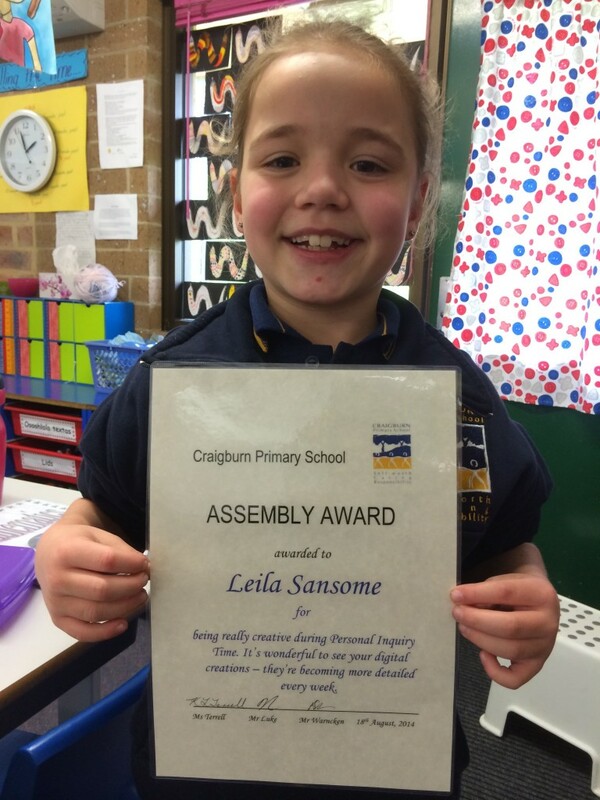 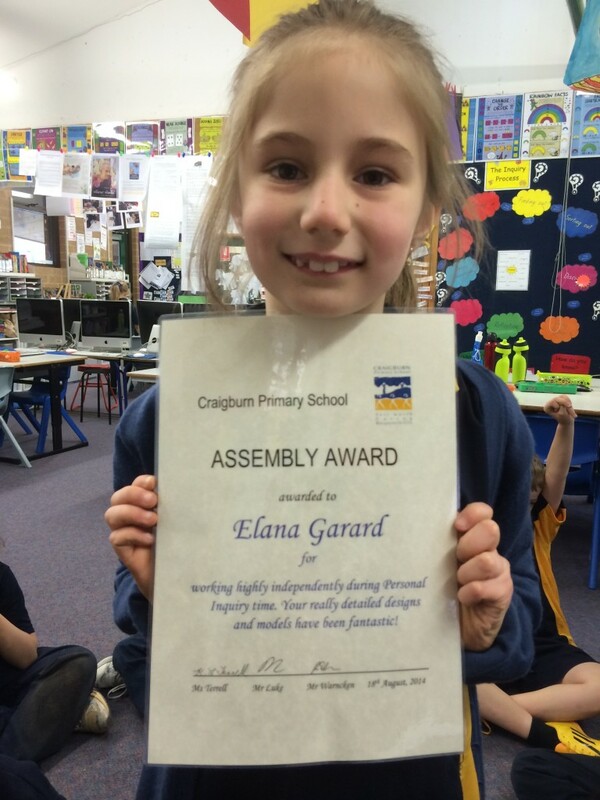 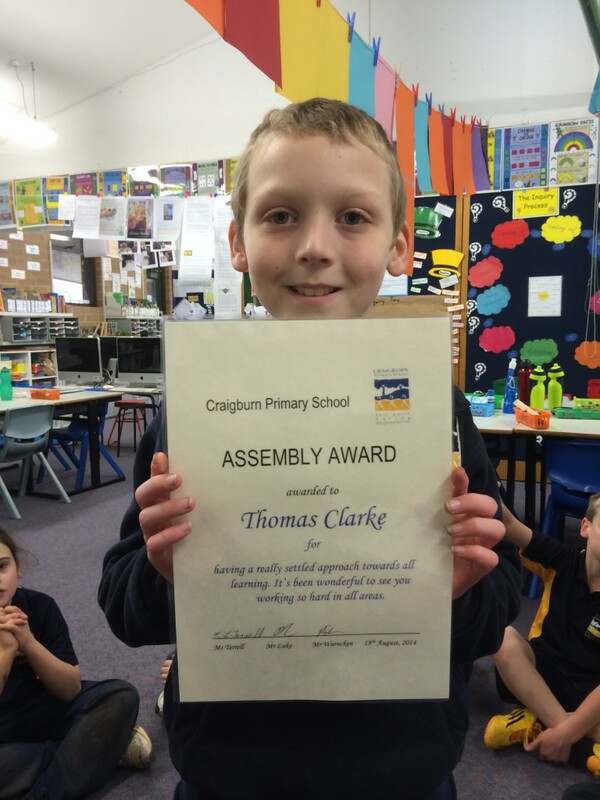 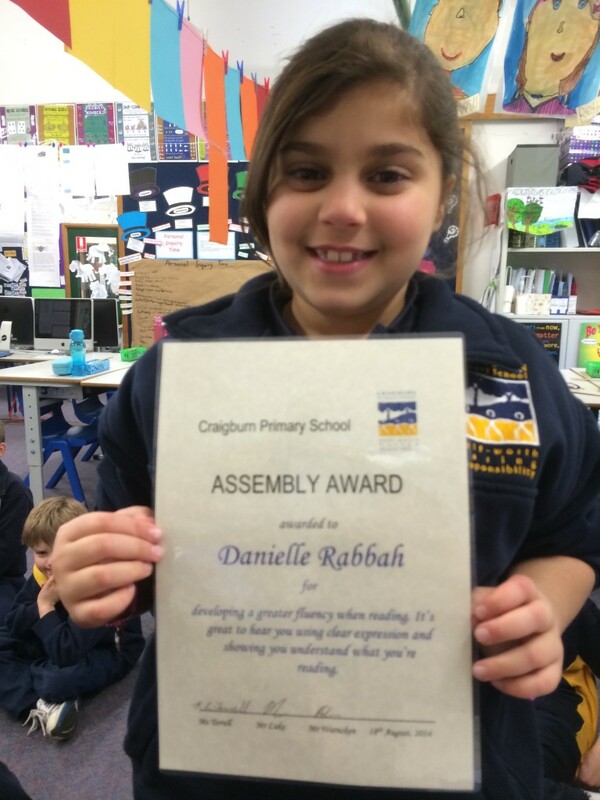 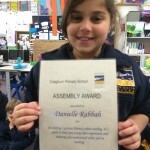 We’d like to congratulate Felix, Danielle, Thomas, Elana, Leila and Archer on receiving an assembly award. 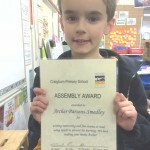 As you can read on their certificates, the children received them for excellent work and attitudes in their learning. 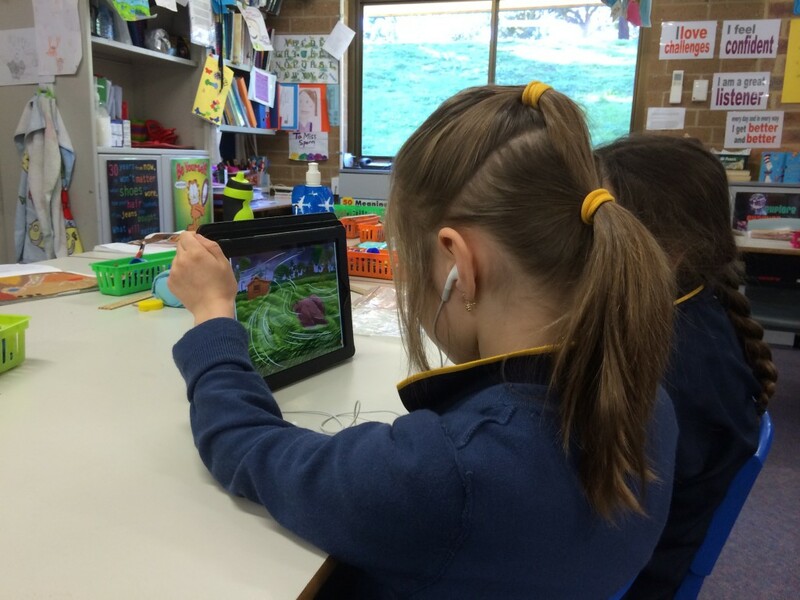 We LOVE to use technology as a way to show our learning. 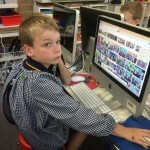 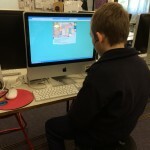 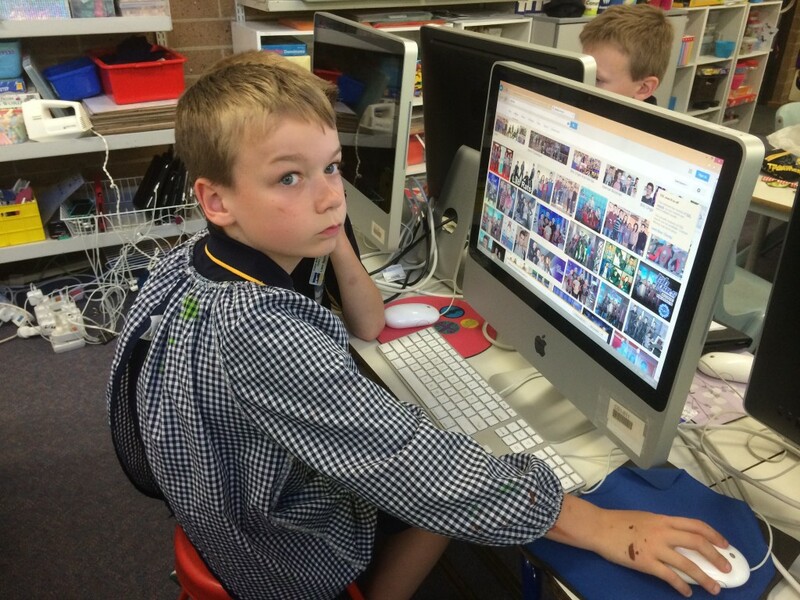 We are lucky enough to have laptops, desktop computers, iPods, iPhones and iPads in our daily learning activities. 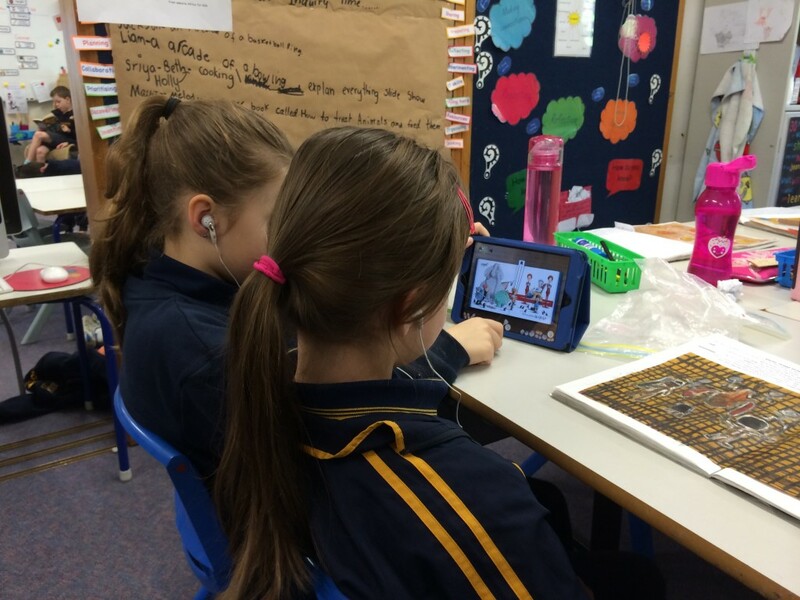 We always use our devices to look at and use content, create, collaborate, think critically (and solve problems) and communicate. 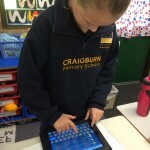 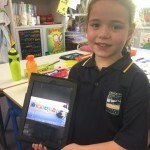 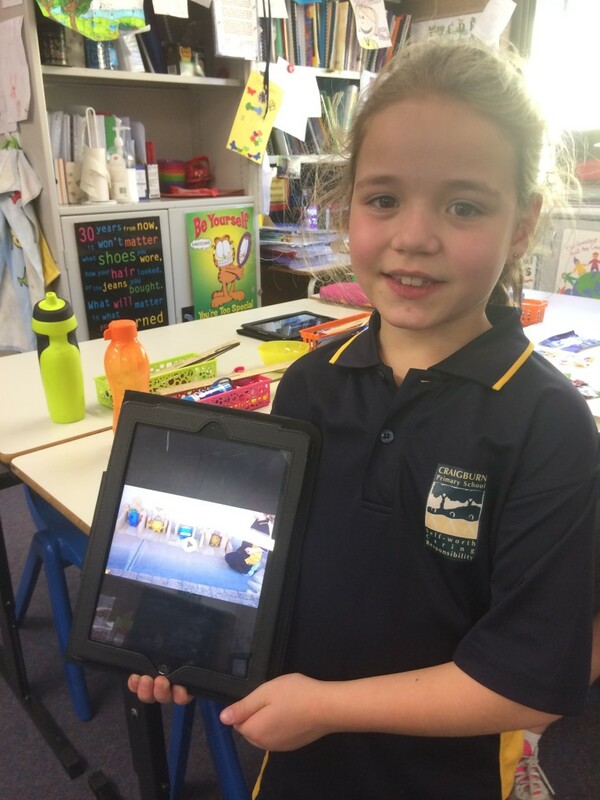 We’ve really embraced app smashing- using different apps to improve our work and then presenting it via the class blog or presenting from devices to our class as the audience. 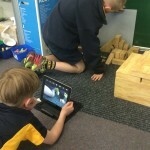 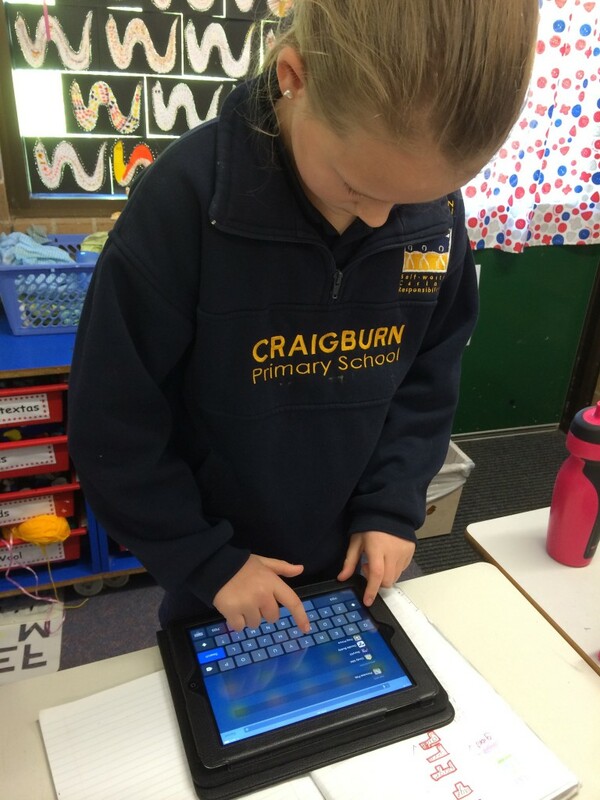 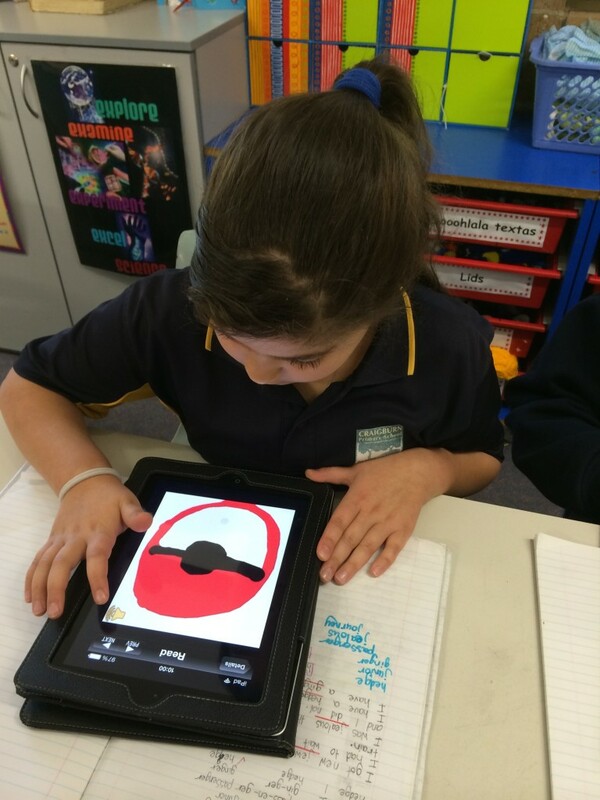 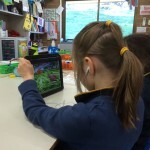 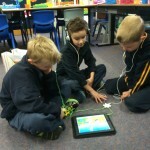 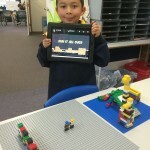 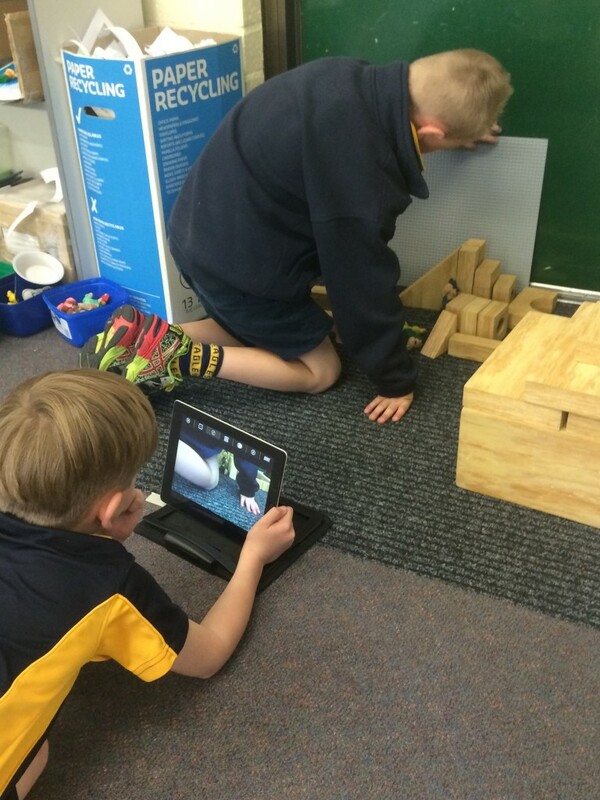 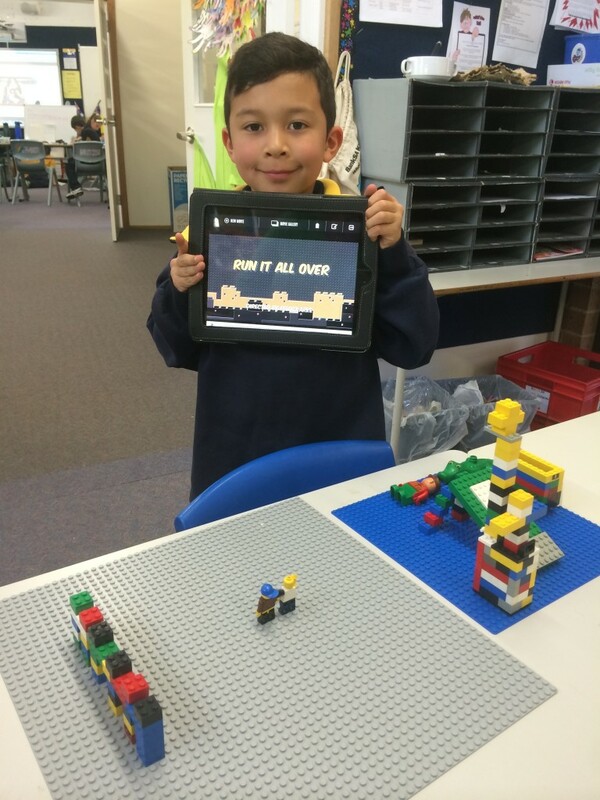 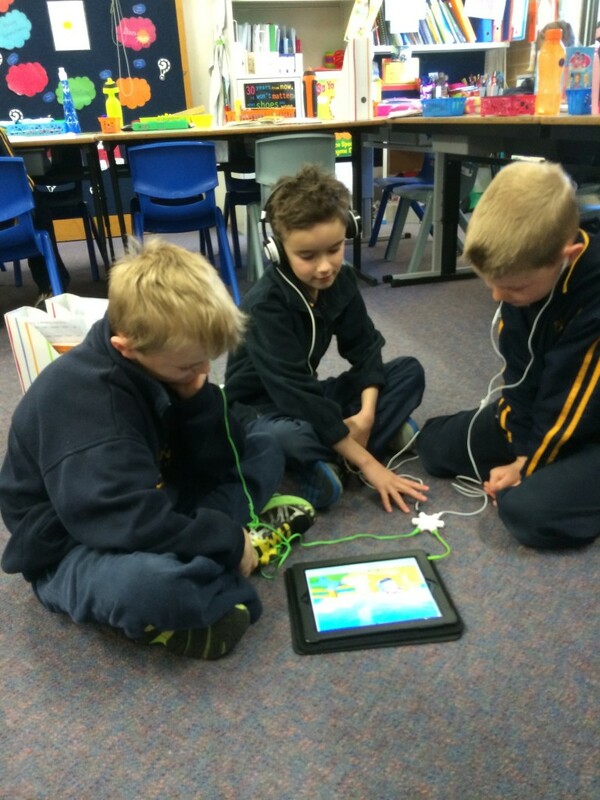 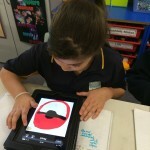 Here are some great shots of us using technology as a part of our learning. 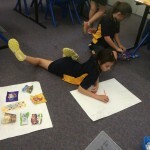 As a part of our current Inquiry unit we have been planning and writing narrative stories. 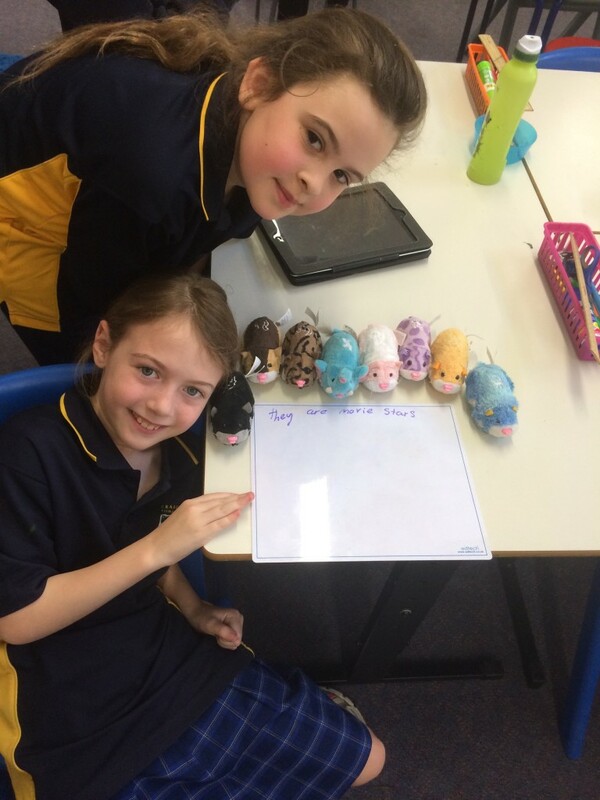 We created special characters first and then planned our narrative story using these characters. 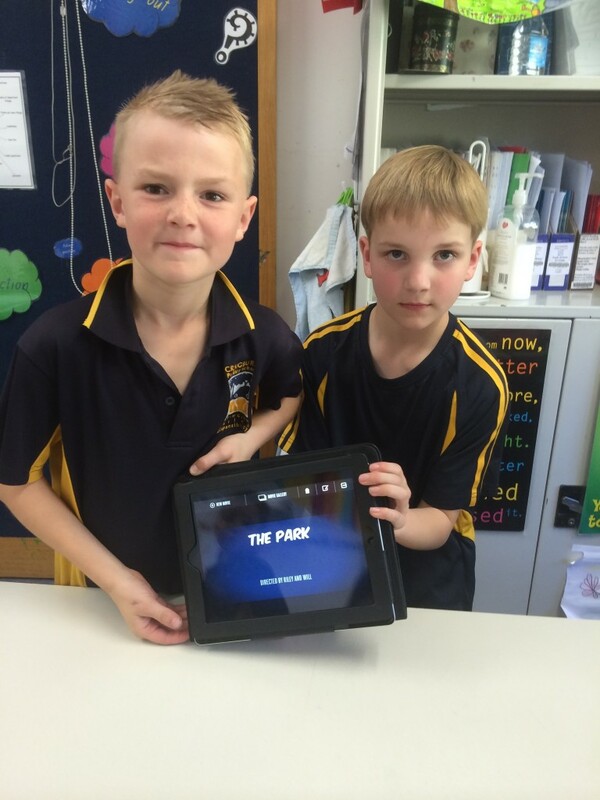 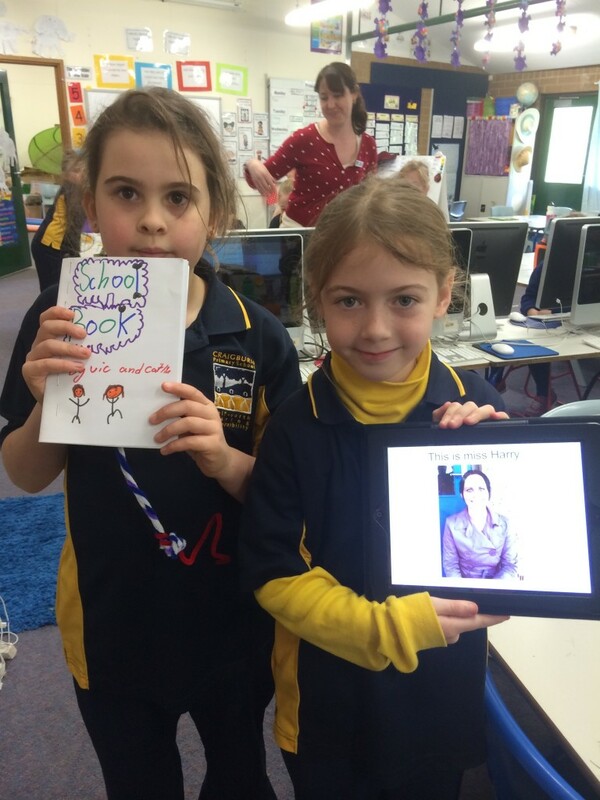 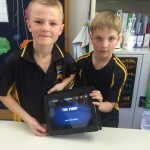 We’ve used the StoryKit app to publish our stories this time. 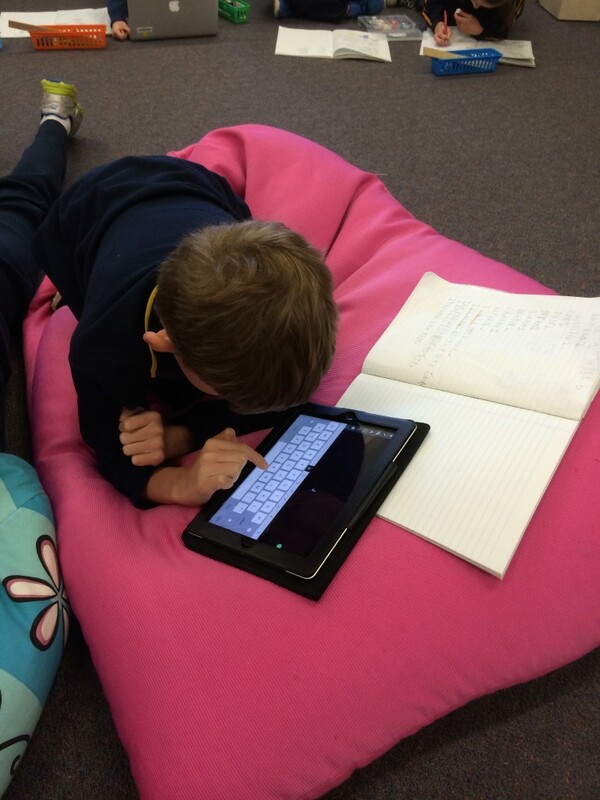 Here are 2 that have been emailed by the students from their devices. 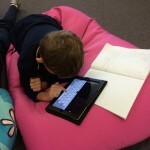 What apps do you like to use to write stories? 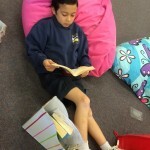 We had our third Personal Inquiry session on Friday. 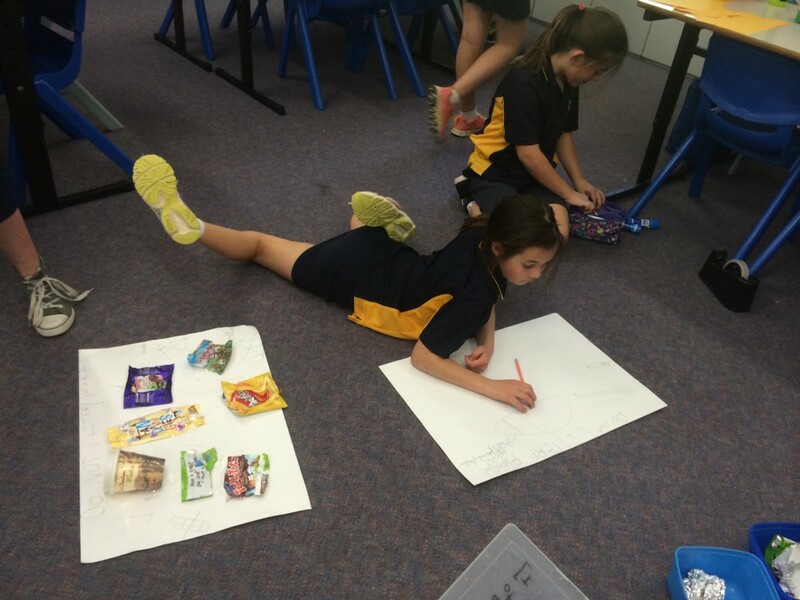 We had been planning all week – discussing and sharing ideas of what we could create. We discussed that this time is about investigating something that is important to you or something you’re interested in finding out more about. 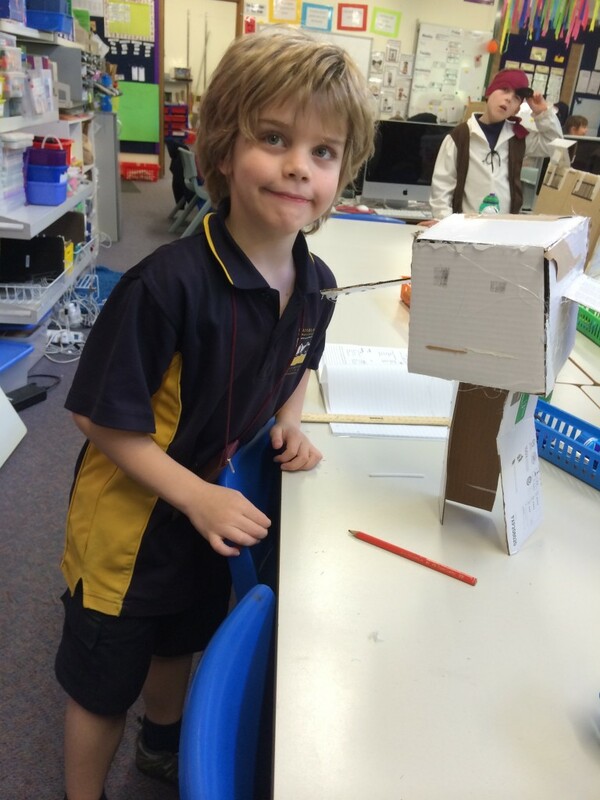 This week was discussed how to raise the standard of our creations and make them the best that we can. 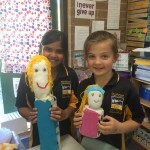 We also had a huge focus on becoming more independent – relying less on adult help to complete creations. 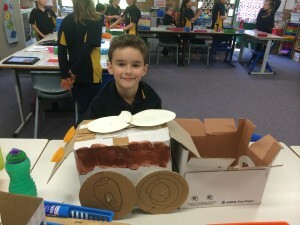 We had lots of interesting Art creations – lots of experimenting with different Art forms, models, moving cars – with working axels. 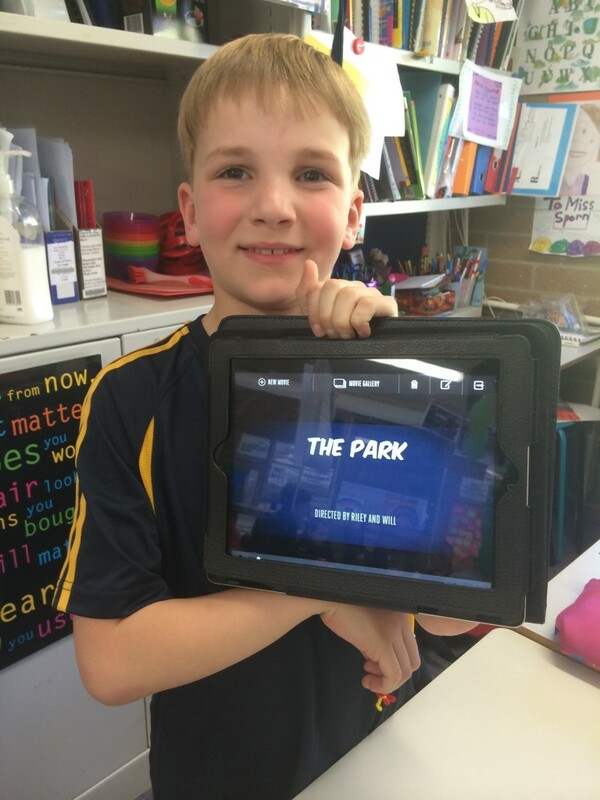 To inspire us Miss Sporn showed us a clip of Caine’s Arcade – we loved it. 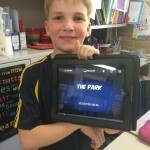 Caine gave us lots of ideas about how to create something that’s personal to YOU and how to share your creations online. 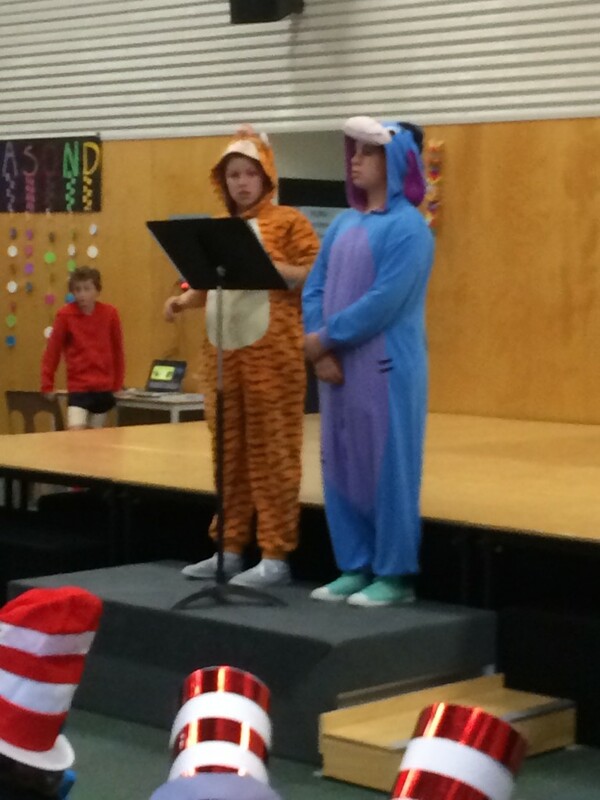 Today we had a R-7 assembly to introduce our new SRC reps for terms 3 and 4. They were presented with their badges and received certificates for being our reps for the next 2 terms. 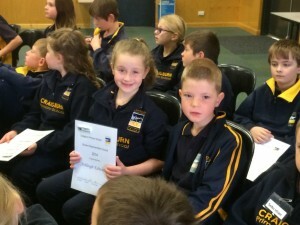 Liam and Ashleigh will be excellent reps for our class. 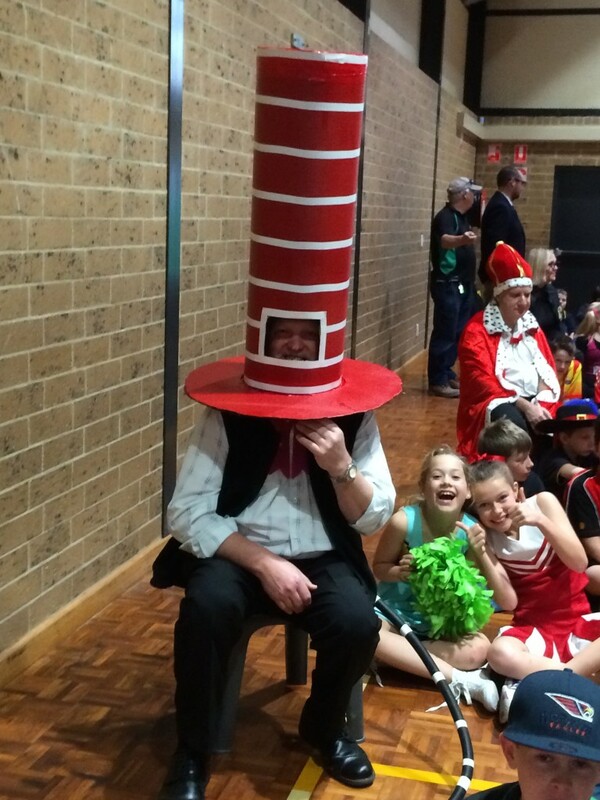 Here’s a photo from today’s assembly.